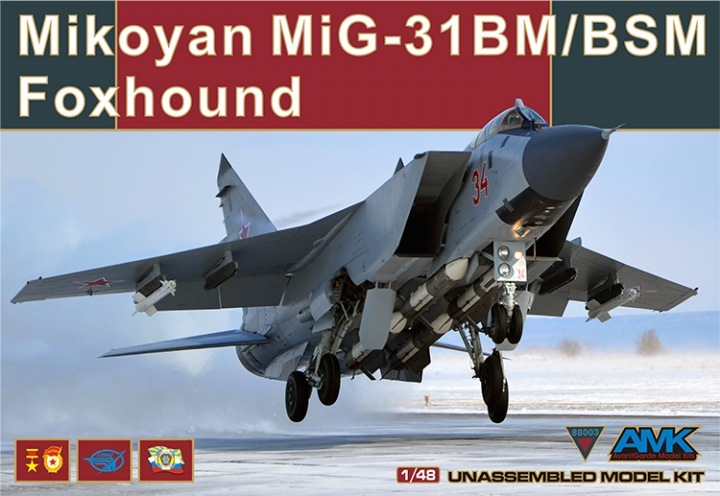 The Mig-31 (NATO callsign ‘Foxhound’) is a Russian interceptor based on the Mig-25 but although they kind of look alike they are very different from each other. 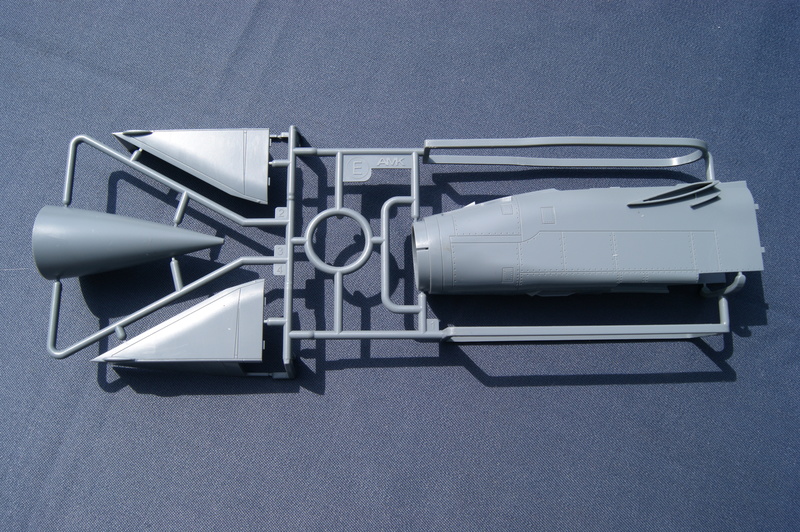 The 25 is a single seater, the 31 has room for two crew members. 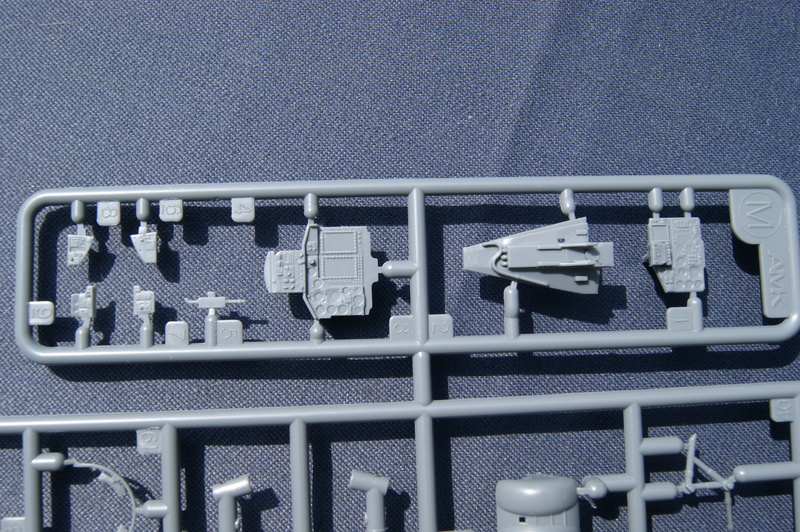 The updated BM version from the kit has a ‘Zaslon’ radar and can hold a variety of weaponry. 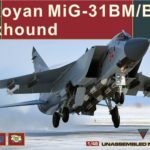 It is expected that the Mig-31 will serve in the Russian Air Force until at least 2025. 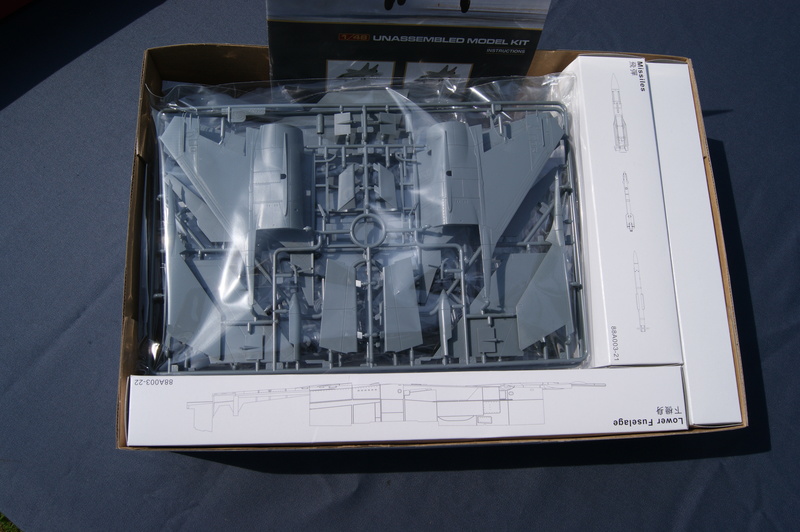 The kit from AMK comes in a cardboard box with a thin cover. 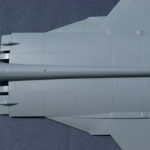 It shows a Mig-31 taking off or landing. 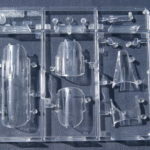 When you open the box you get a box that is filled to the top with plastic and three box-in-boxes. 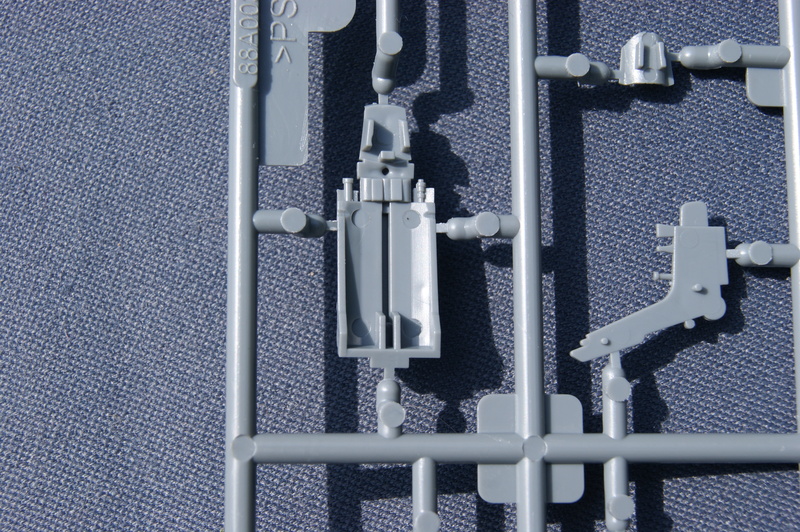 The detail immediately hits you as being fantastic and crisp. 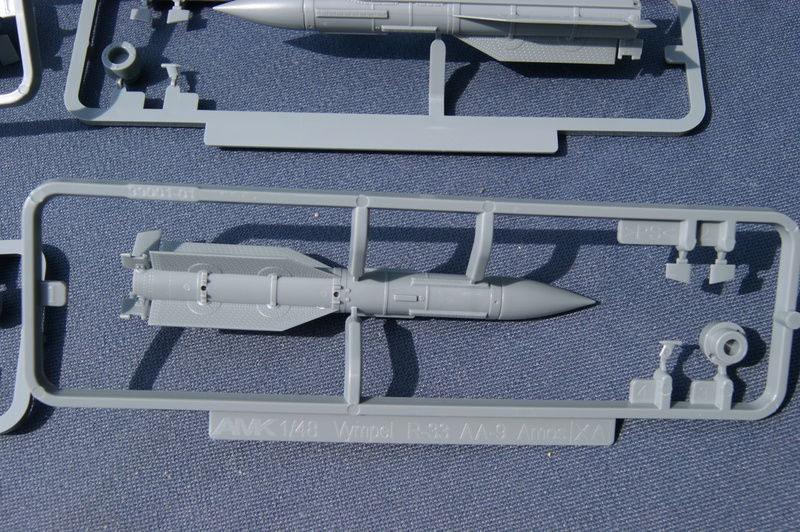 That’s probably even an understatement. 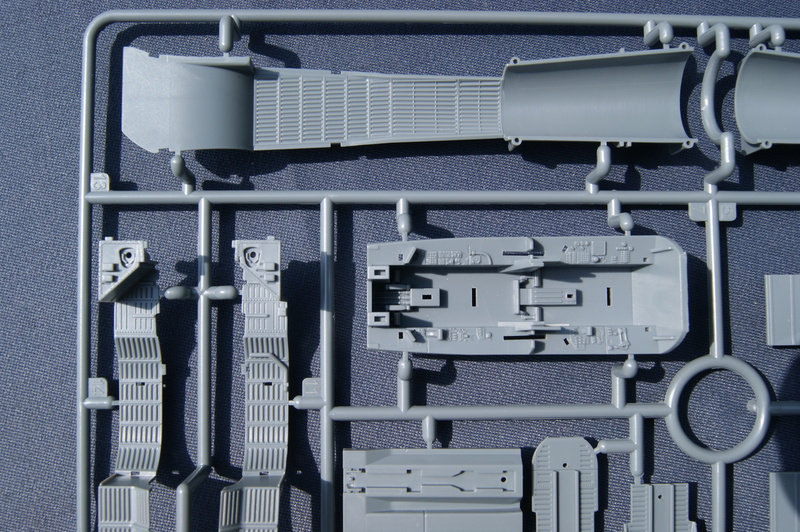 We will call it next-gen molding. 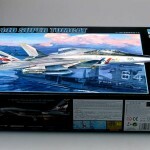 Taking a good look in the box will learn that it earns that predicate. 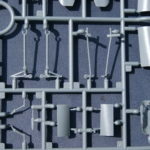 The overall details are so good I could probably mention it with every sprue were going to take a look at in this preview. 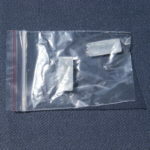 So, what is in it? 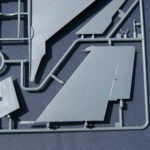 Instruction sheet: An A4 sized booklet with a colored front and some colored pages in the front and back, but mostly consists of black and white pages. 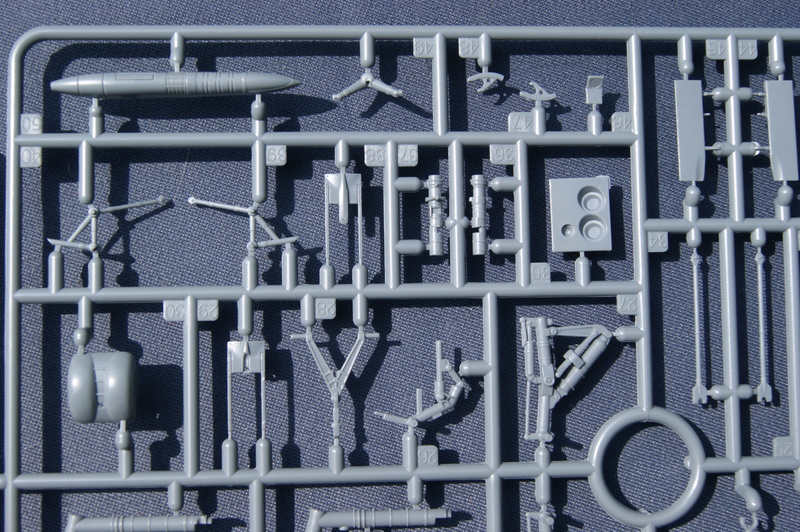 Almost all of the detail is shown in here too so it can feel a bit busy for some. 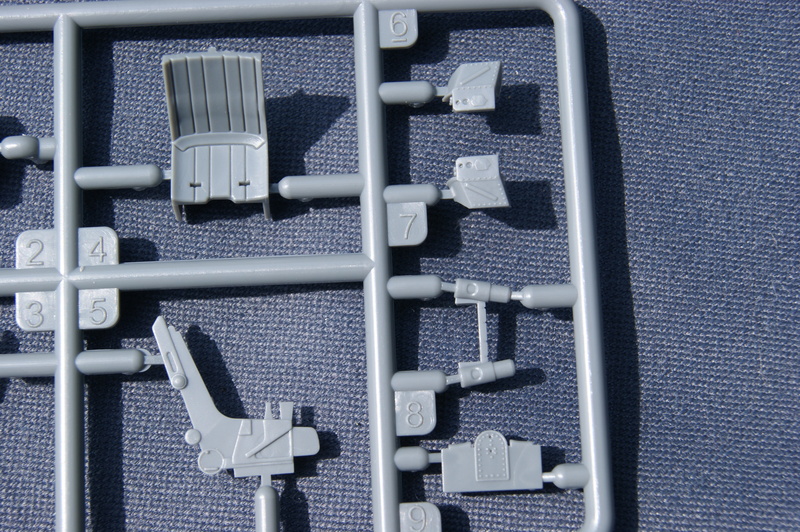 But if you study the instructions carefully it looks like it will explain itself during the build. 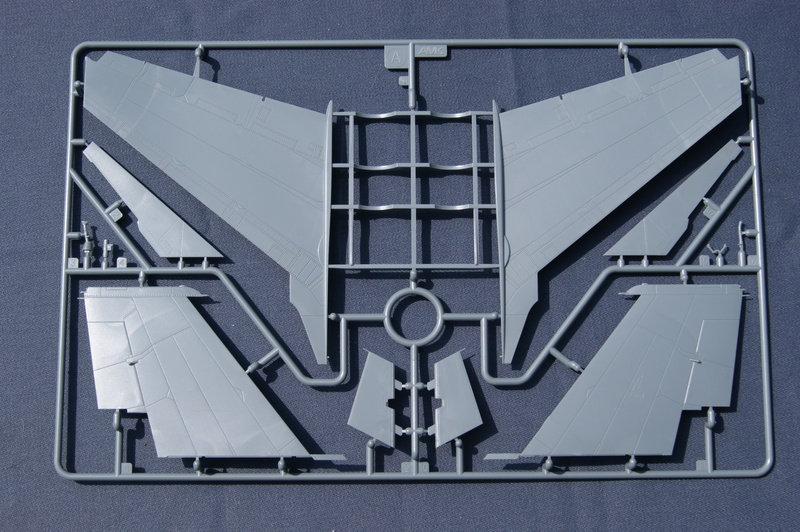 Sprue A: Mostly about the wings. 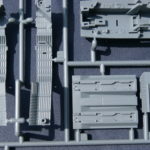 Immediately you can see the great level of detail and crisp molding. 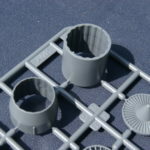 The base part has a framework that provides for a good fit (in the dryfit that is). 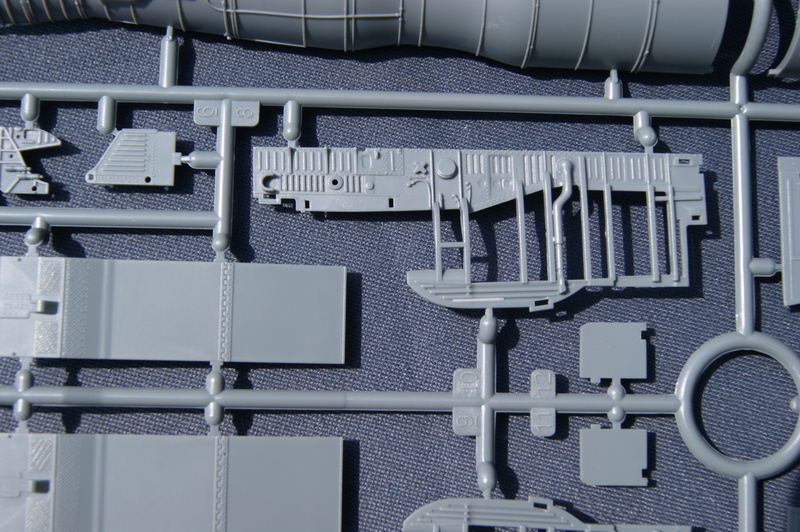 Sprue B: Well actually it’s the upper fuselage and a little part of sprue B. 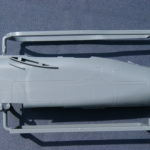 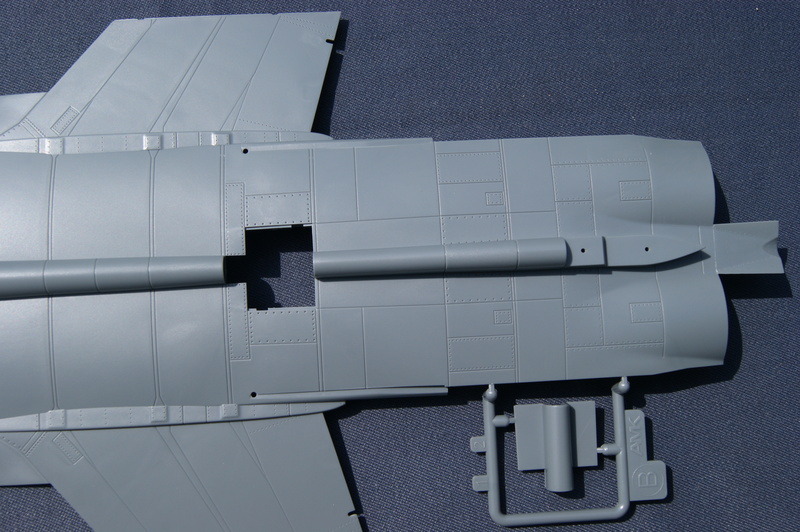 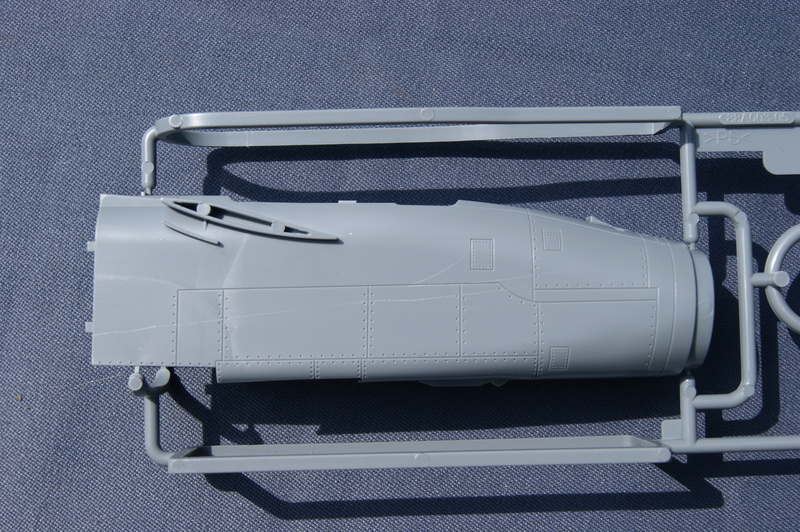 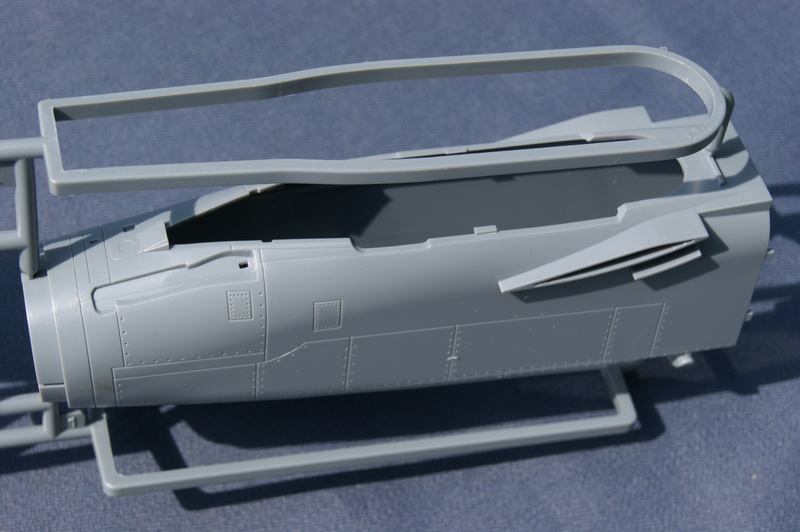 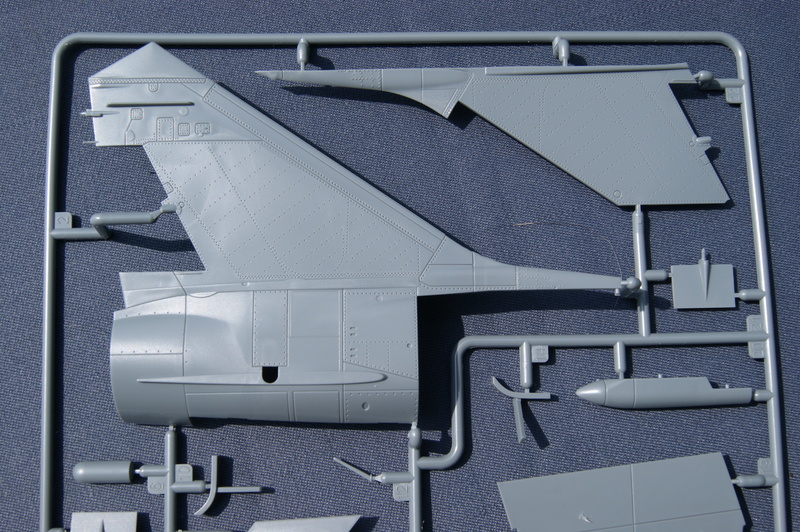 The fuselage is big as you can see on one of the pictures, so this will provide for a large model for 1/48 standards. 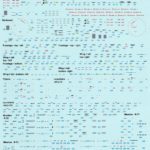 And I can’t say it enough. 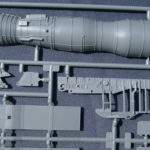 Again the level of detail is amazing. 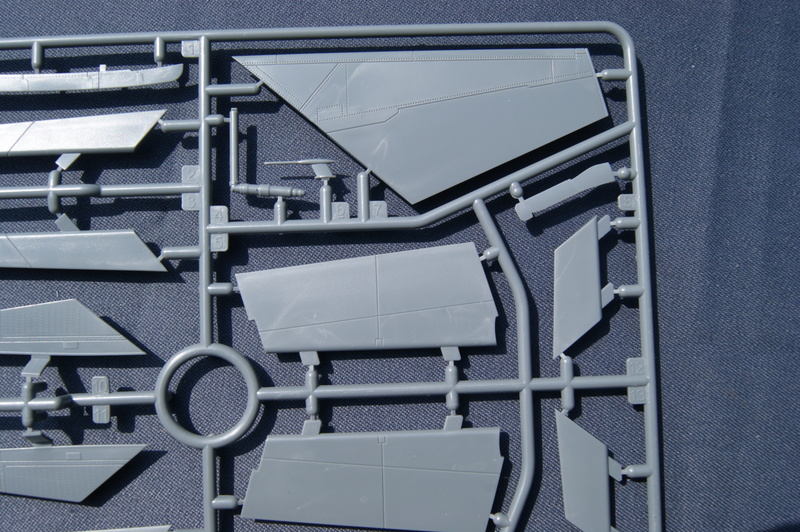 The panel lines feel so natural on this kit. 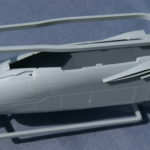 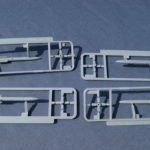 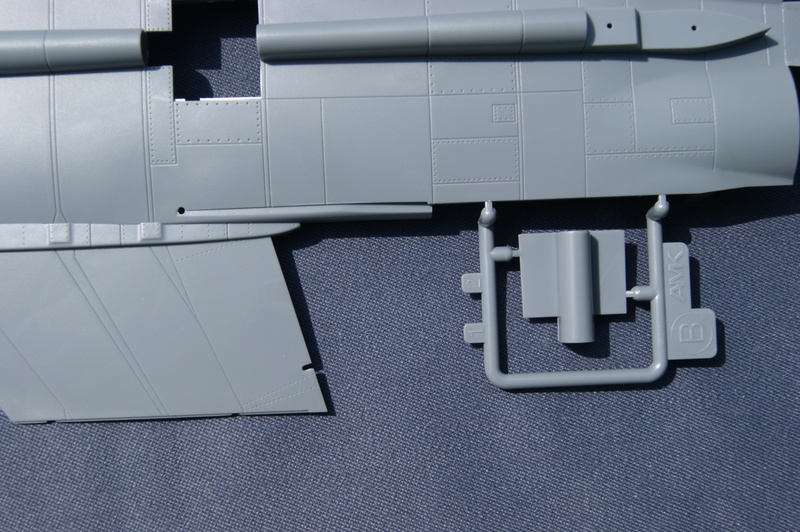 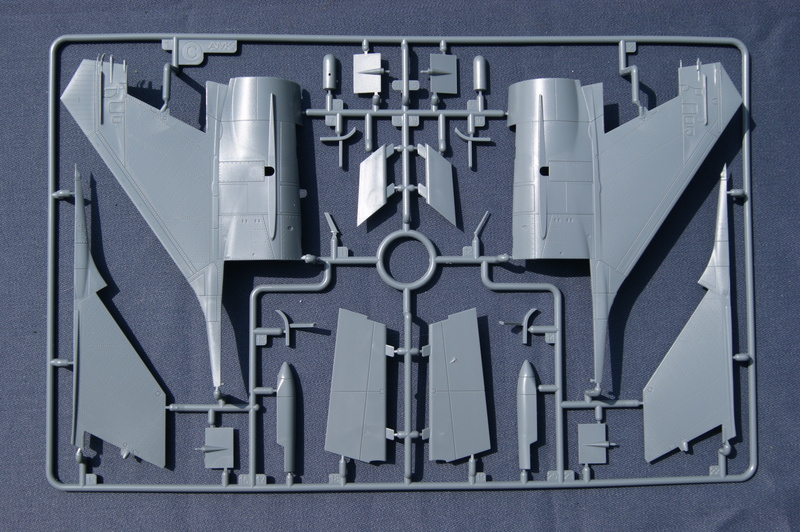 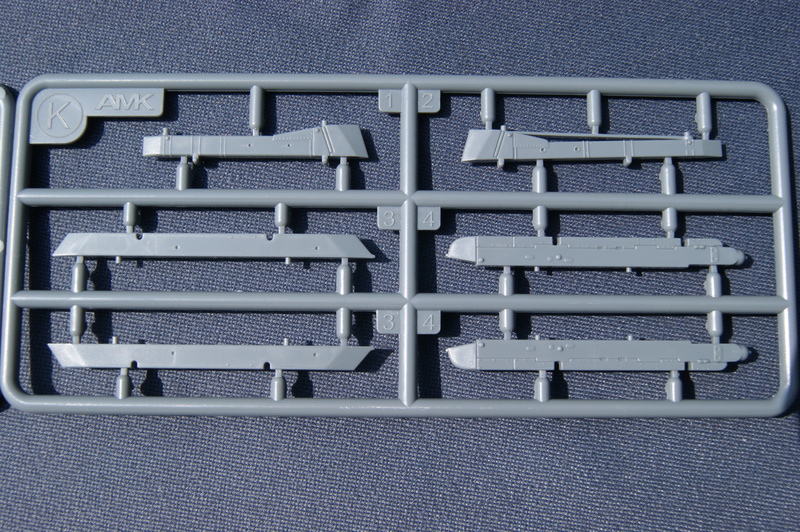 Sprue C: About the rear end/vertical stabilizers. 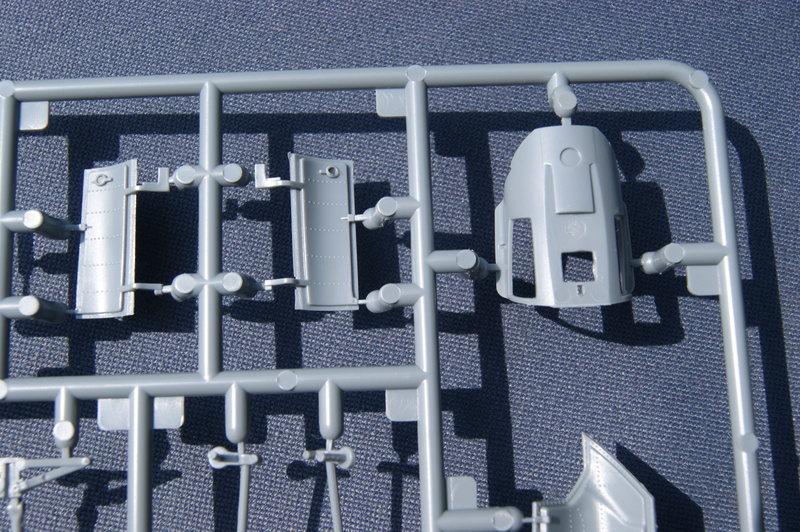 To me one of the most beautiful parts of the kit. 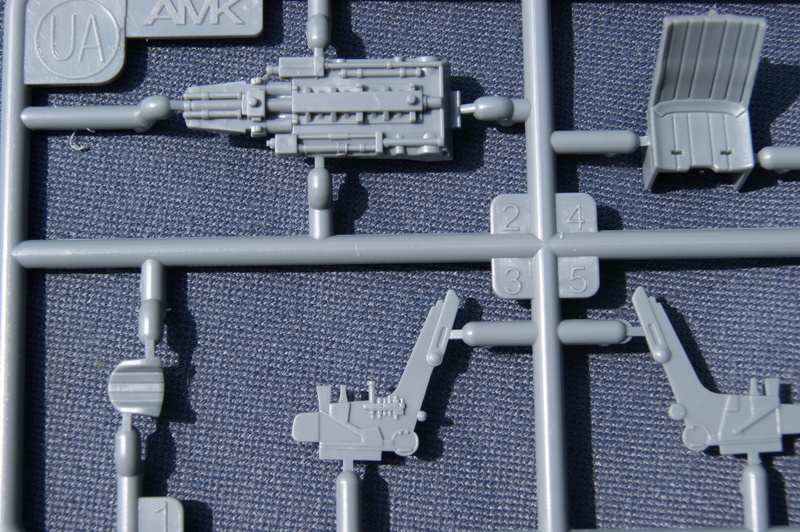 From the larger panel lines to the smallest bump everything looks and feels like attention and love that the people from AMK put in this kit. 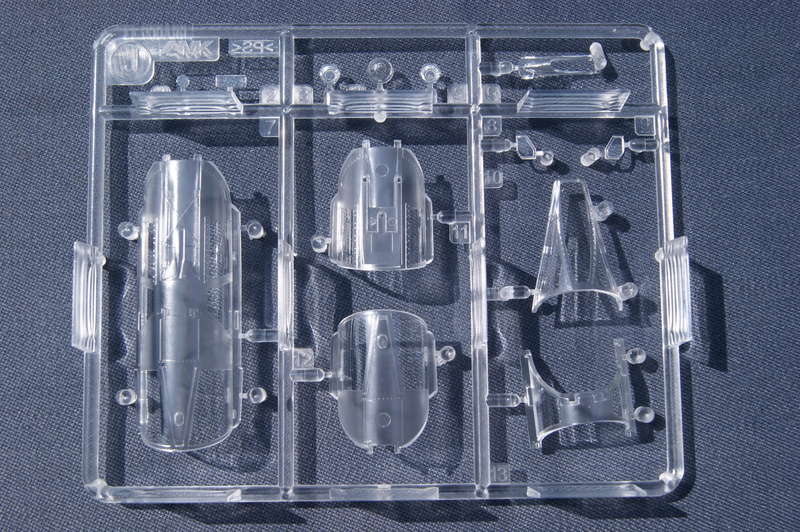 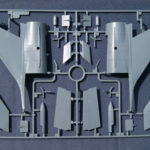 Sprue E: The front end of the kit, nose section, one piece cockpit part and the outsides of the air intakes. 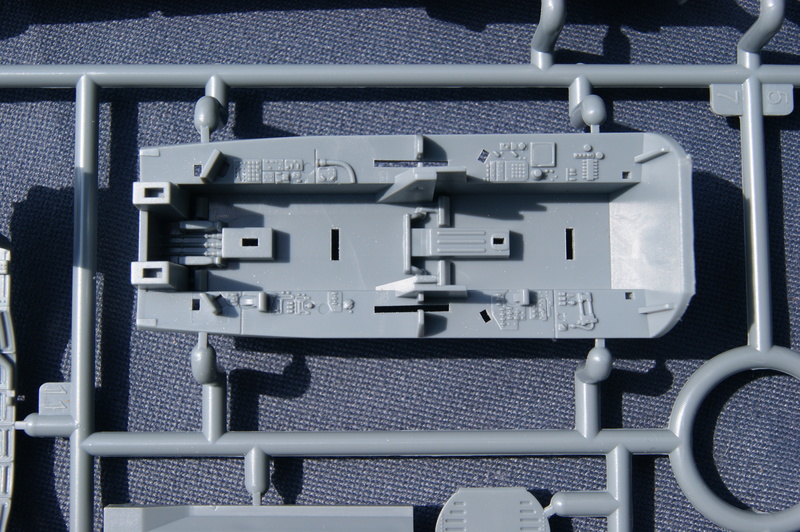 The special thing about the cockpit section is that it’s a once piece part. 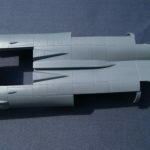 So no more gluing two part together getting to sand a seam or something. 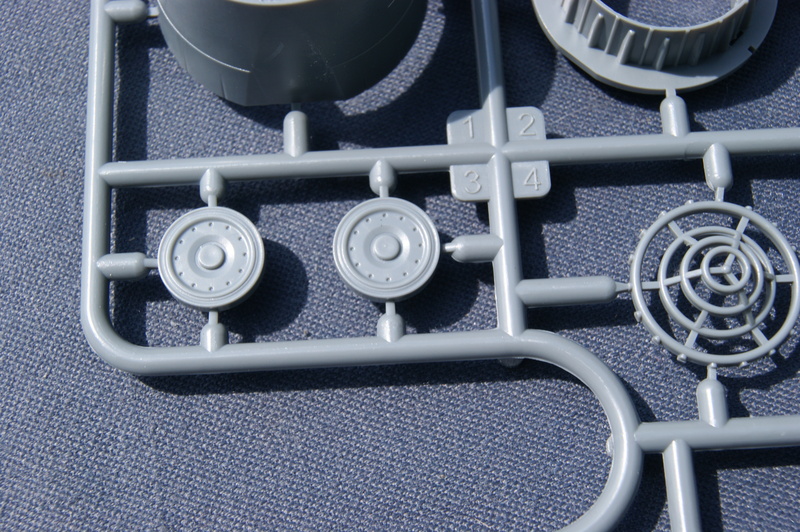 You just insert the tub in and you’re done. 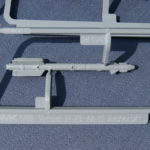 Well almost that is. 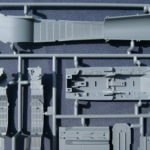 I think this is an amazing idea and again, it looks terrific! 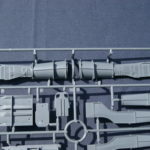 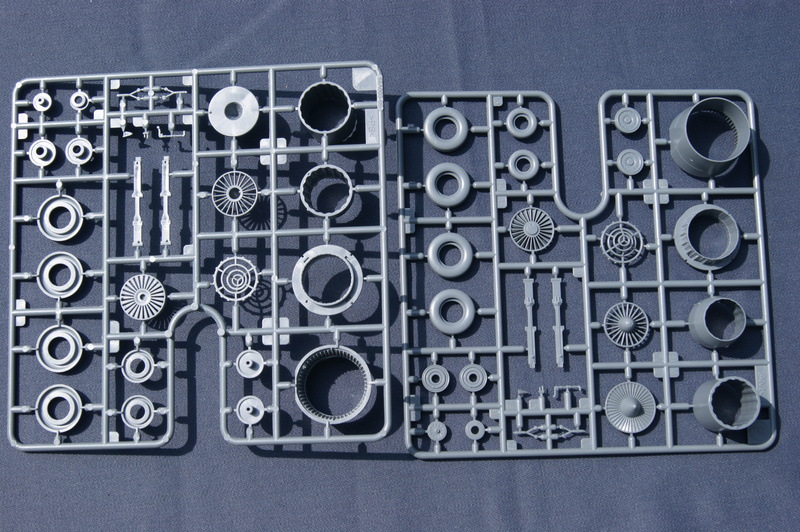 Sprue F (2x): This contains the wheels and exhaust parts. 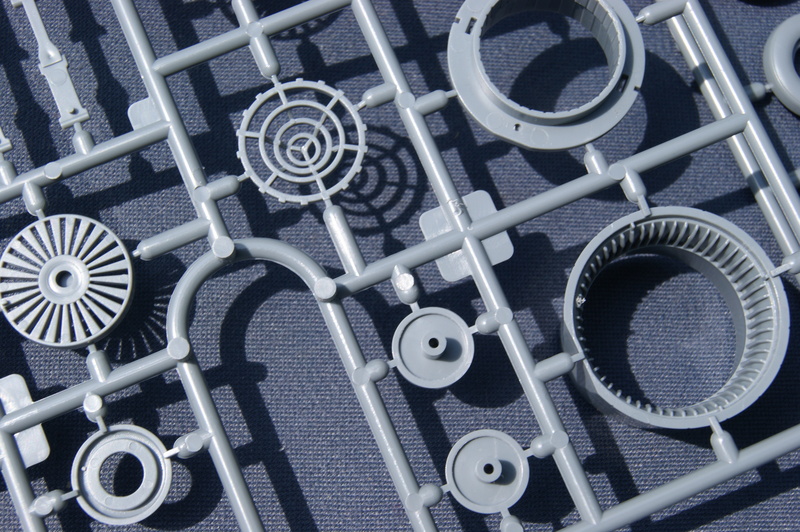 To me part number 15 really shows the ‘next-gen’ I was talking about. 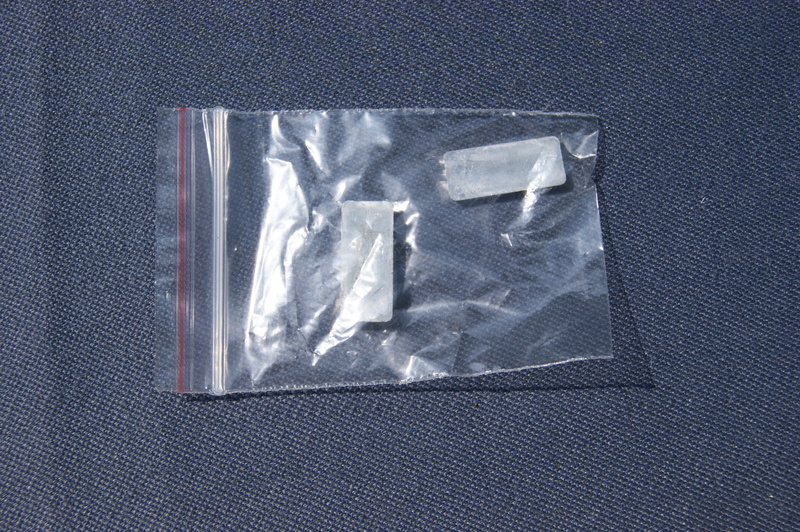 It’s not resin just yet but it really comes close. 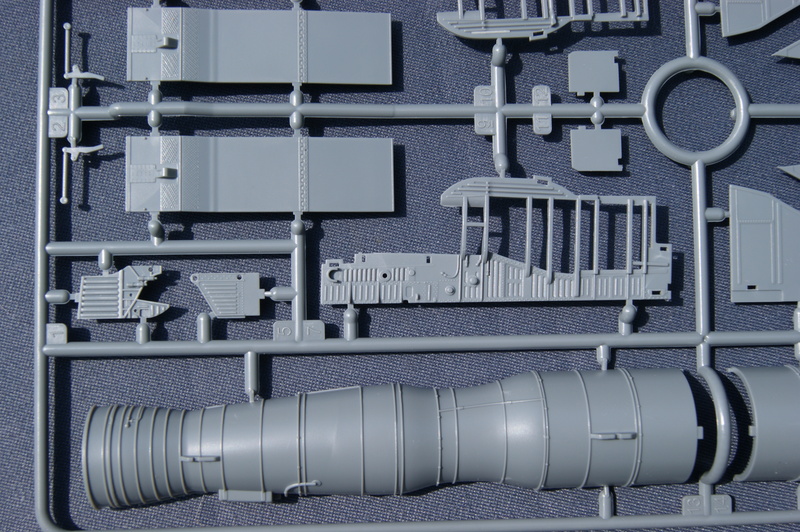 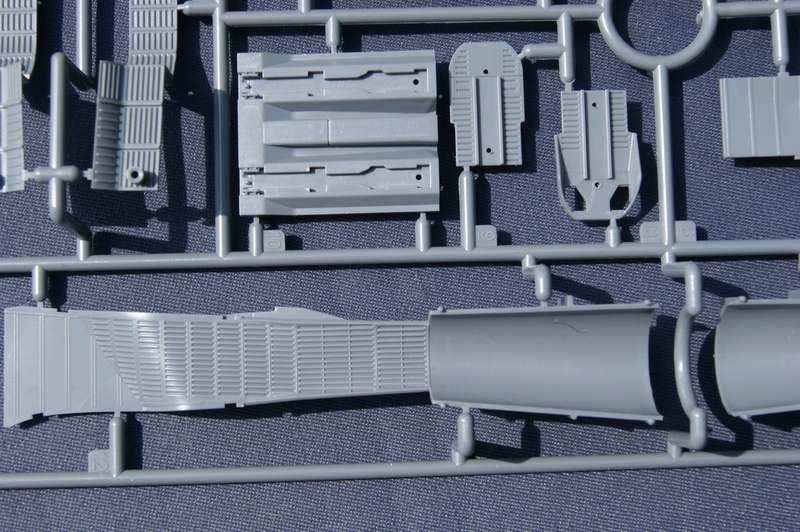 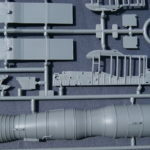 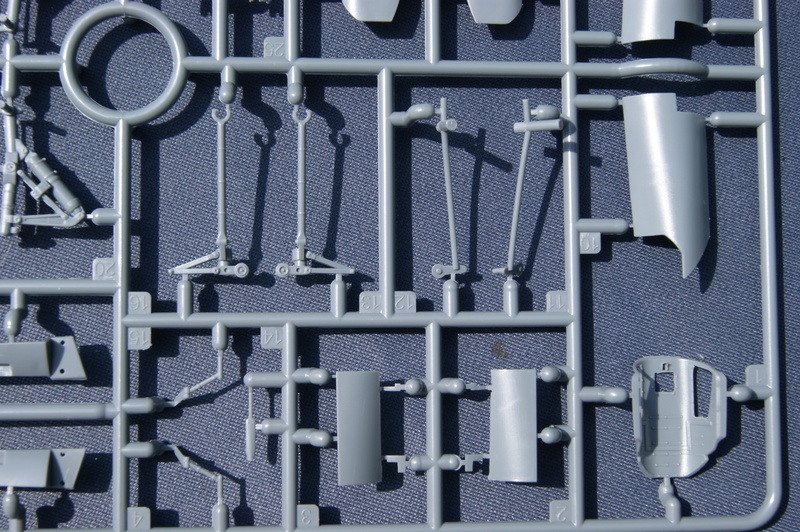 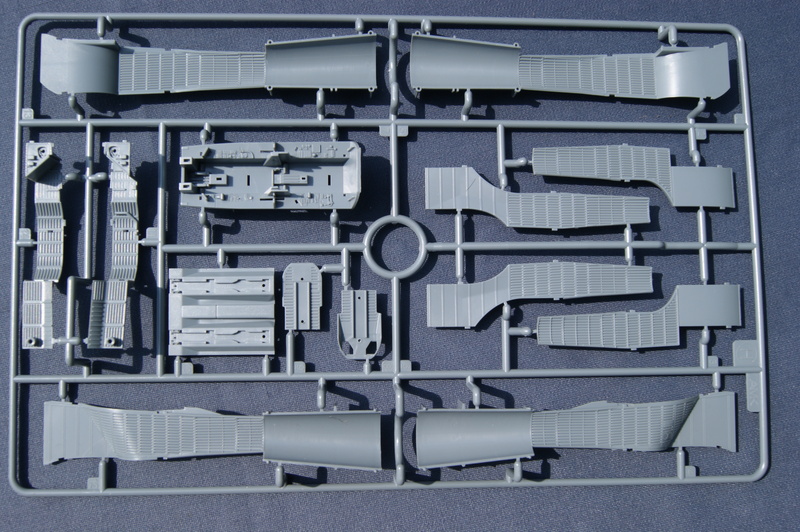 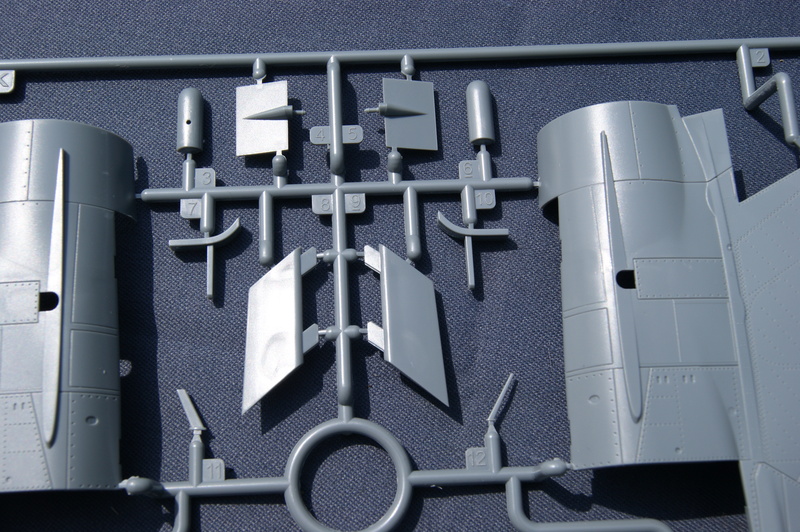 Sprue G: Engines, bay parts and some parts for the air intakes. 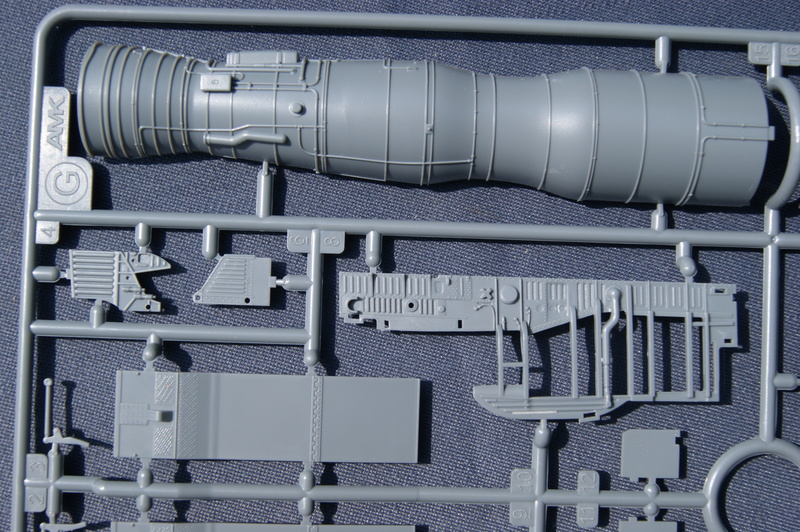 I know I am repeating myself but the detail is lovely. 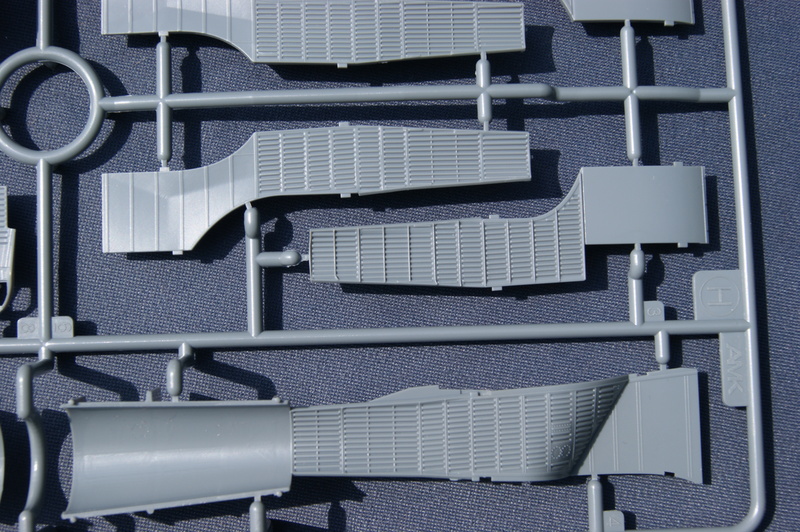 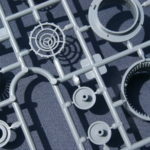 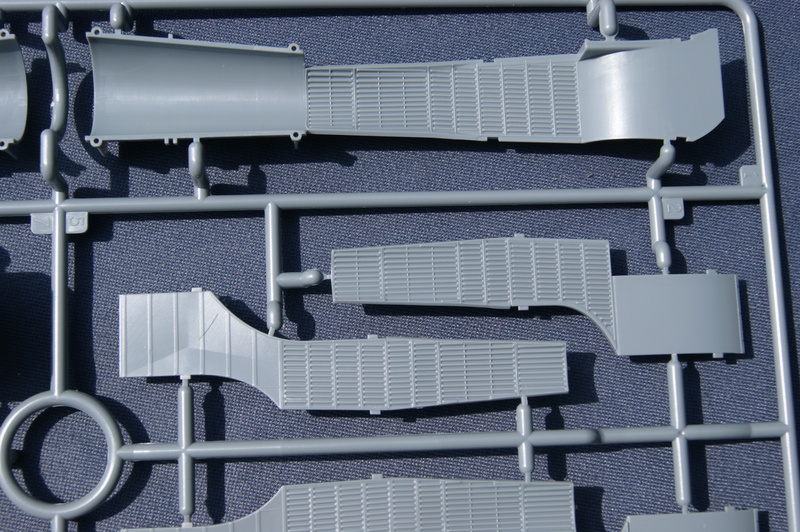 Sprue H: The parts on this sprue are mainly for the intake channels and the wheelbays. 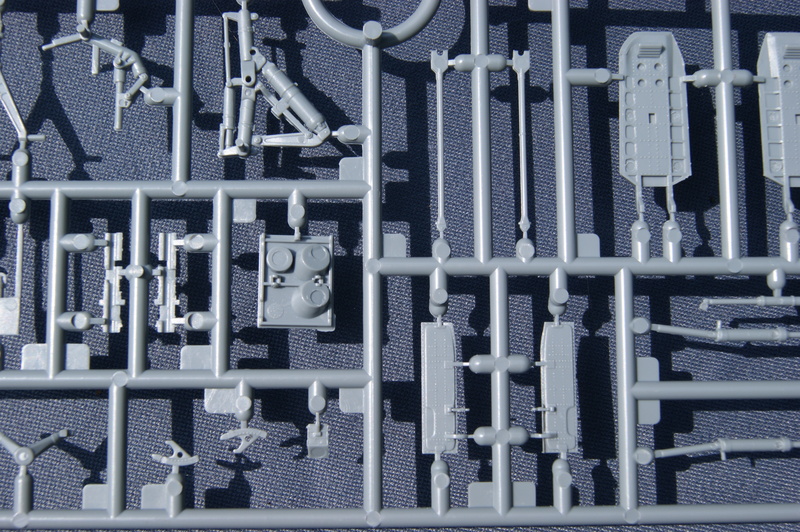 Also the cockpit tub in on this sprue. 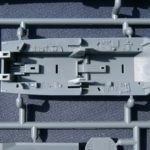 At first I thought it held some nasty ejector marks and I was fairly disappointed, but after searching the net I found some detailed photos of the cockpit and I came to the conclusion it weren’t really ejector marks but dials. 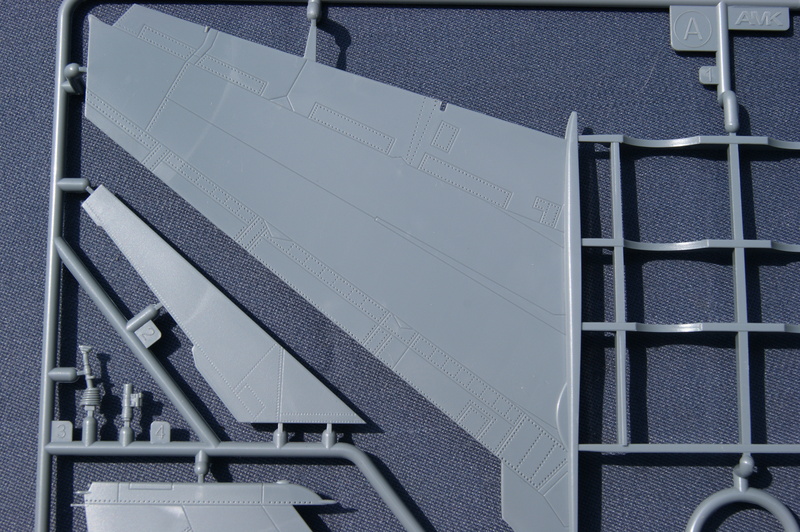 It also showed me that the cockpit, although not 100% accurate compared to the pictures was really representing the real thing. 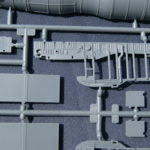 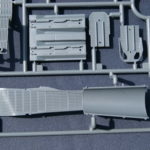 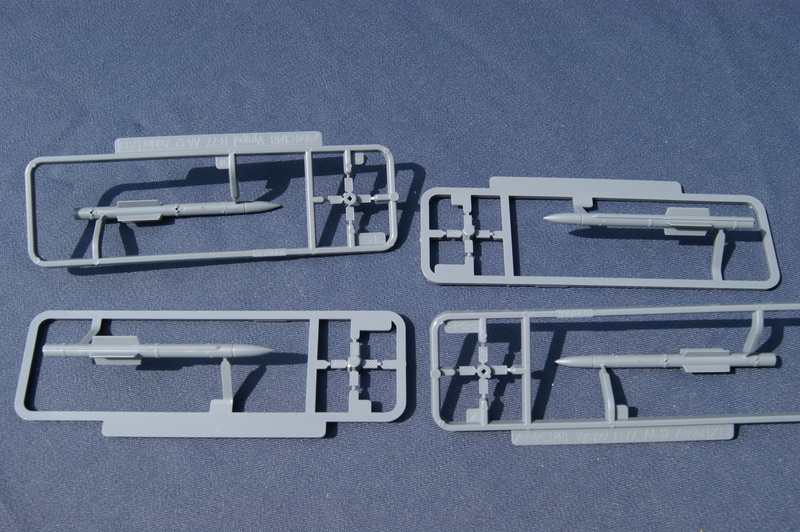 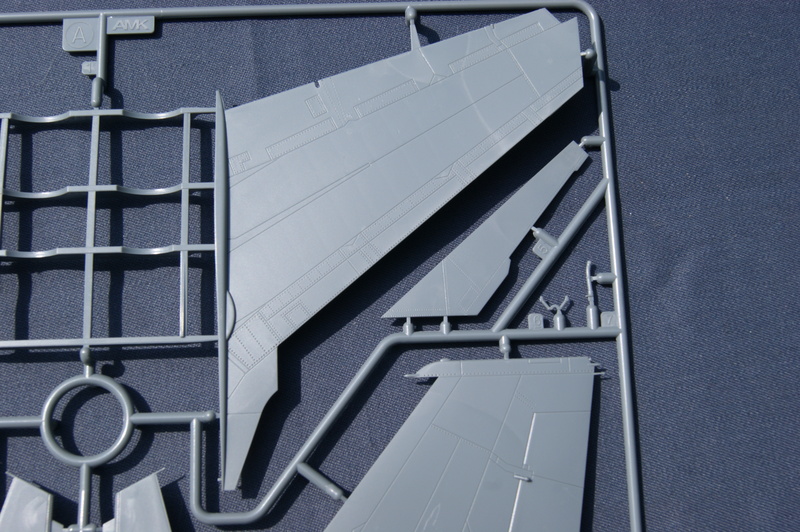 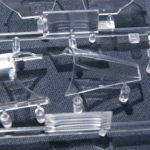 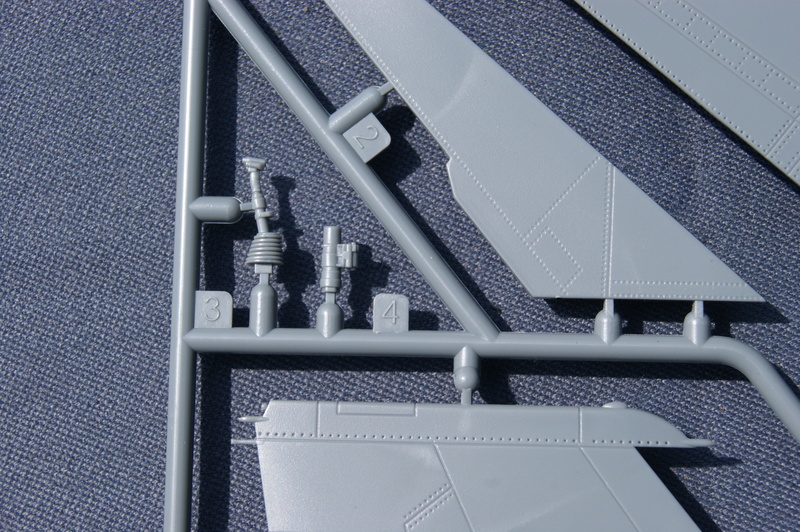 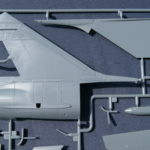 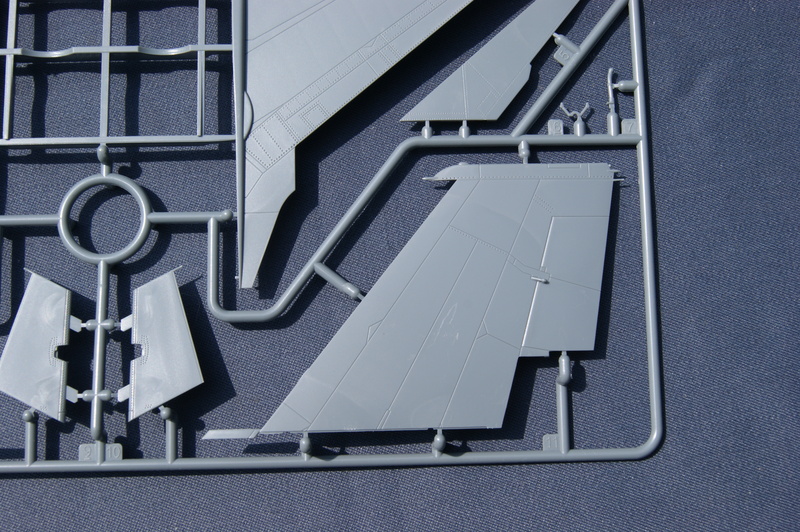 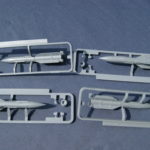 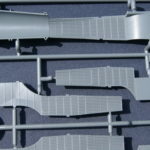 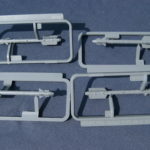 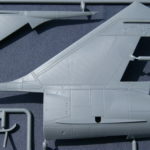 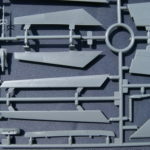 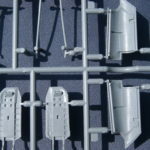 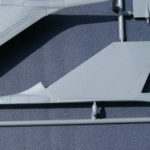 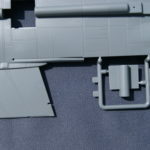 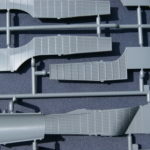 Sprue I: Horizontal stabilizers, slats, pitot tubes and refueling probes. 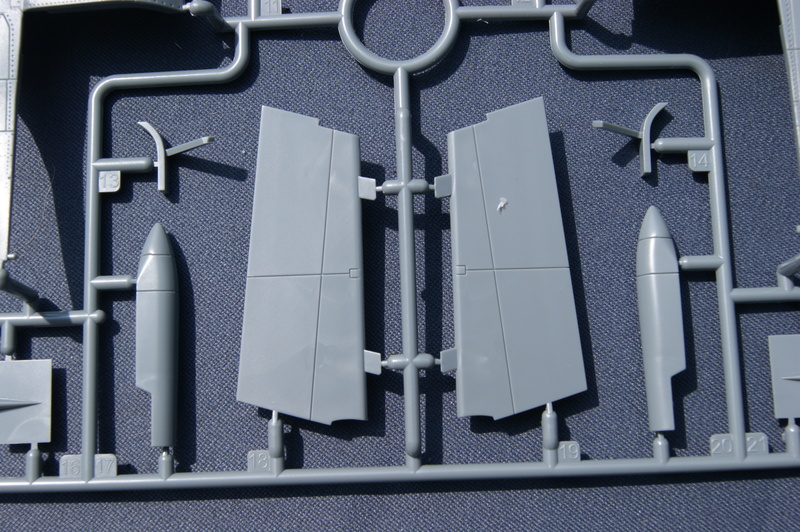 Here I found a few ejector marks on visible parts. 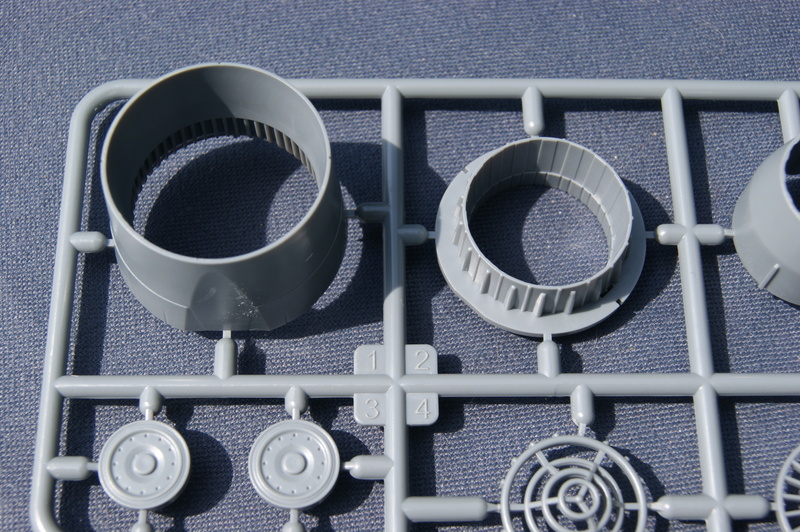 For the most part they’ve placed them well as far as I’ve noticed so far but these just popped out, especially on the back of parts 6, 10 and 11. 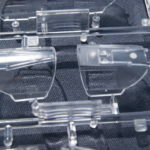 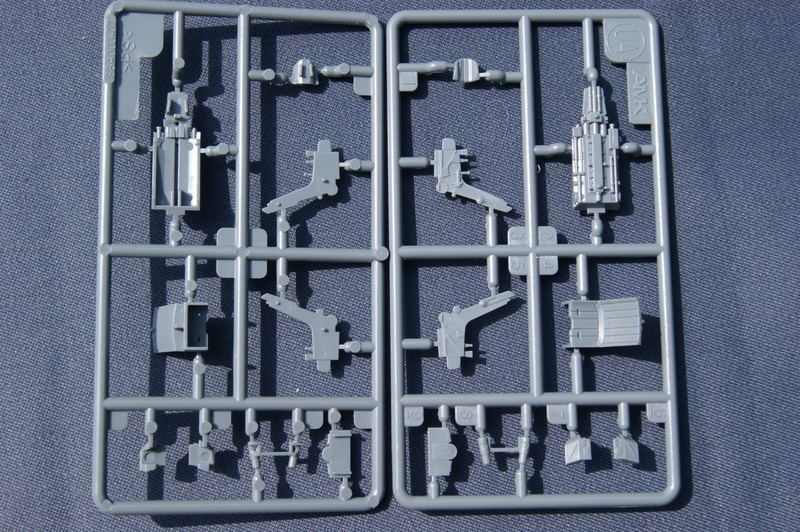 Sprue J: It’s the clear parts sprue. 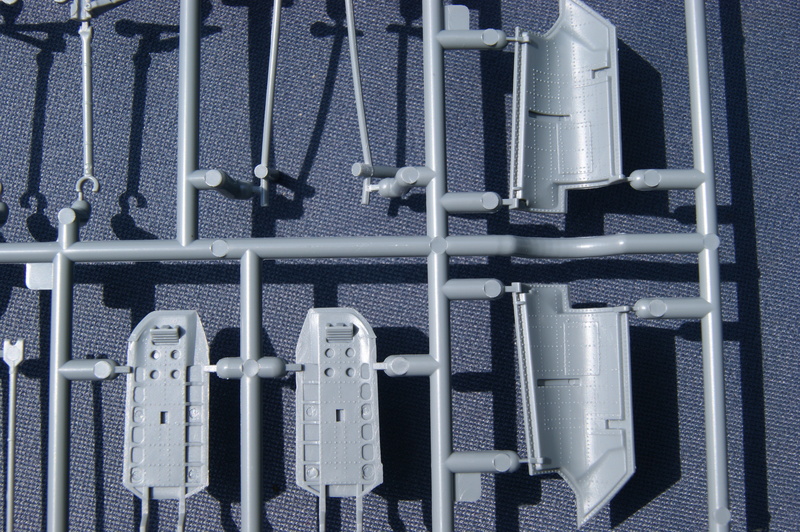 It holds two sets of canopy’s. 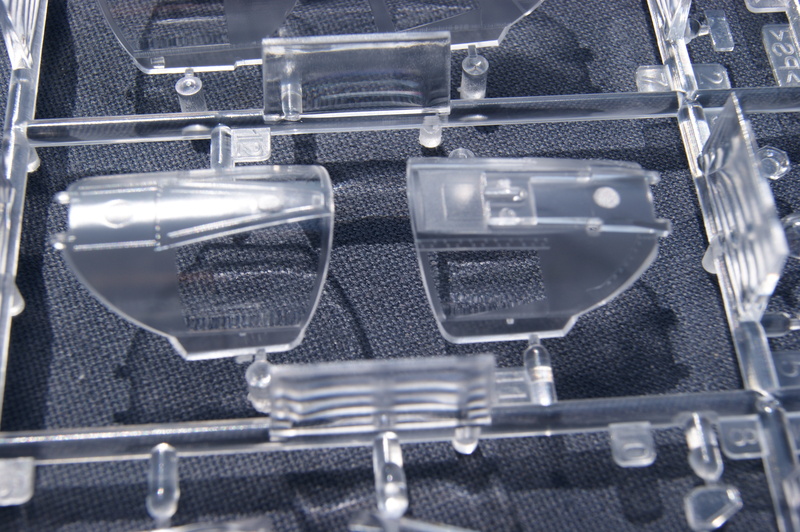 One for the closed option and one for the opened option. 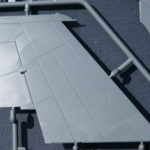 This is a good idea by AMK, this way you don’t get a gap or fitting issues in the canopy if you choose to keep it closed for instance. 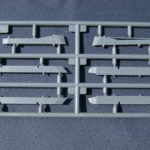 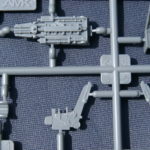 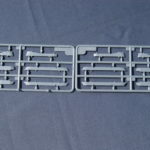 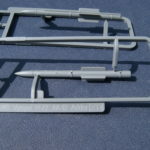 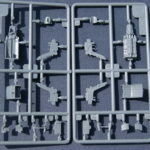 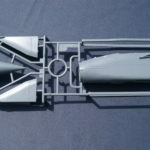 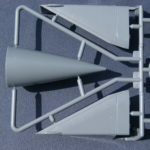 Sprue K (2x): A small sprue with pylons and launch rails. 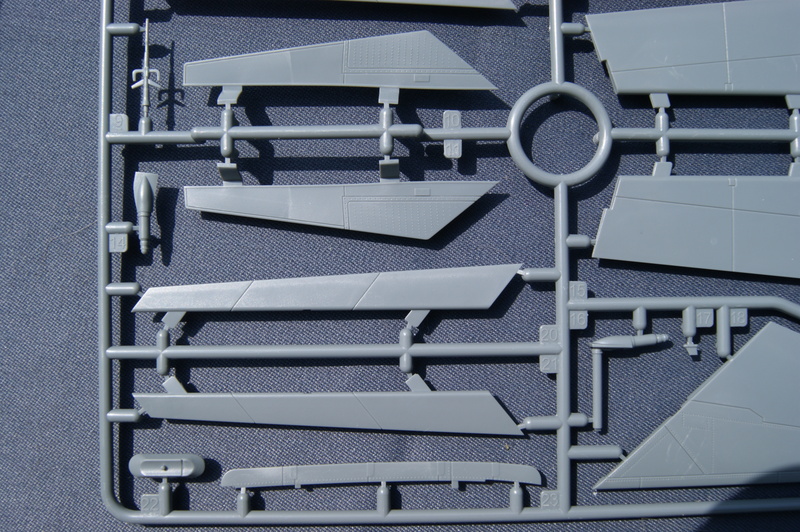 These are all in one piece which is a nice touch. 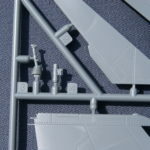 Sprue L: A larger sprue (with sprue M attached to it) which is mainly about the landing gear area and a few cockpit parts. 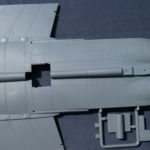 On the backside again some ejector marks which will be visible on the finished models. 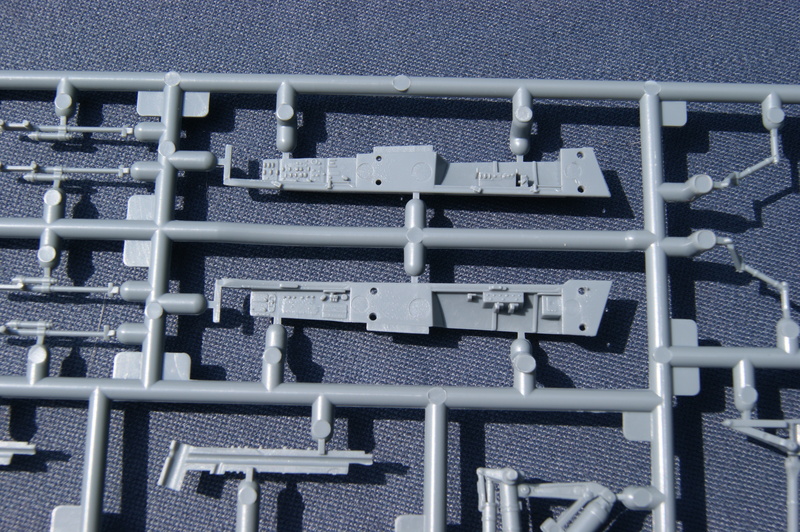 Especially the ones on part 32 and 33 look hard to clean. 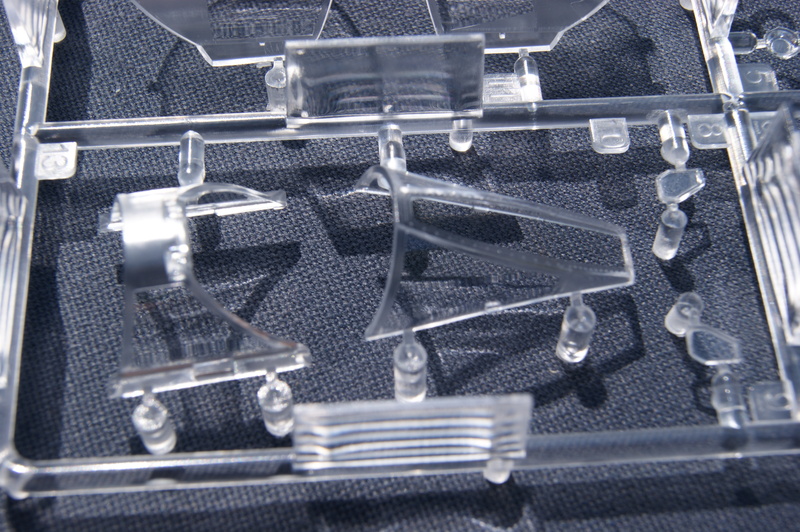 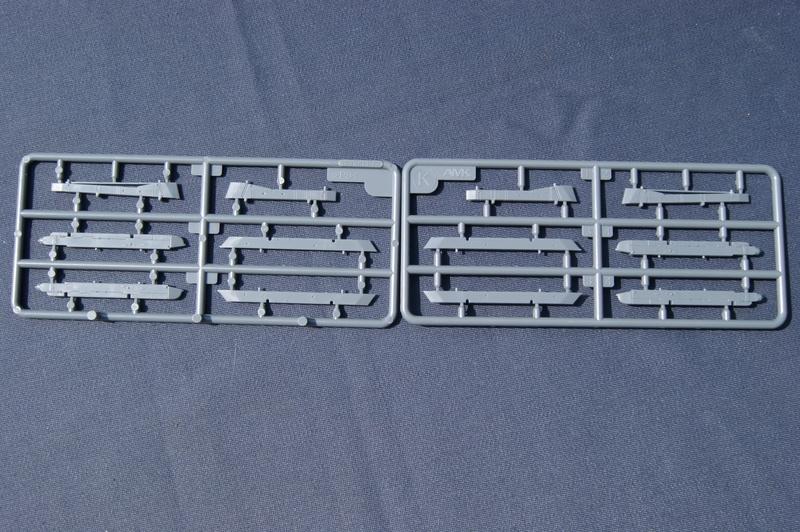 Sprue M: A small sprue attached to sprue L which holds the parts for the instrument panels and HUD. 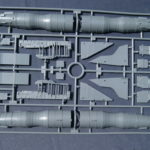 You won’t need a resin cockpit which this high level of detail! 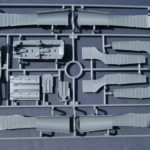 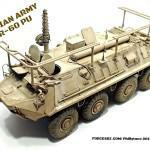 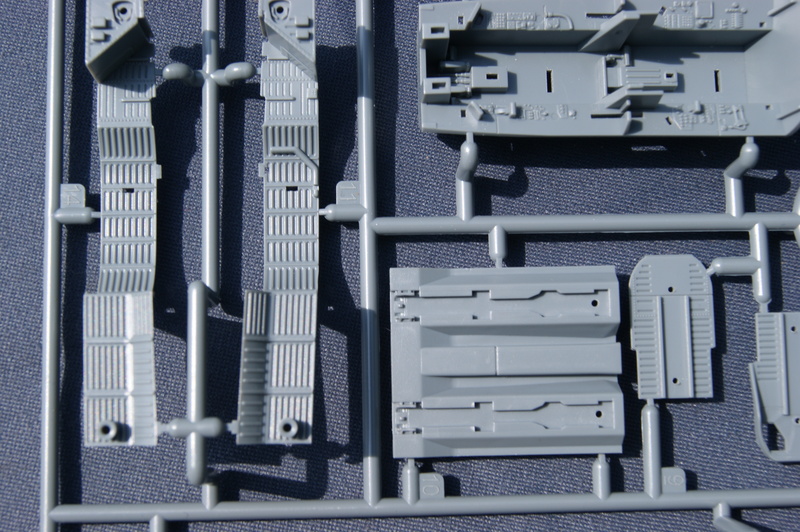 Sprue UA (2x): The ejector seats, and they are a piece of art by them self! 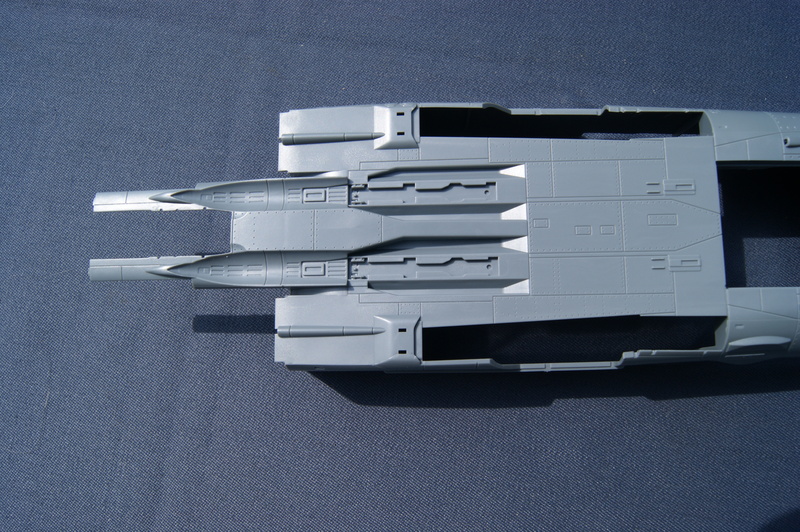 Don’t be fooled by part 8 and thinking it’s a nasty ejector mark. 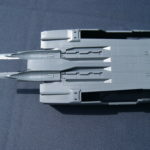 The real part looks like that too. 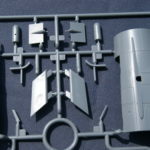 Sprue XA (4x): This is such a nice feature. 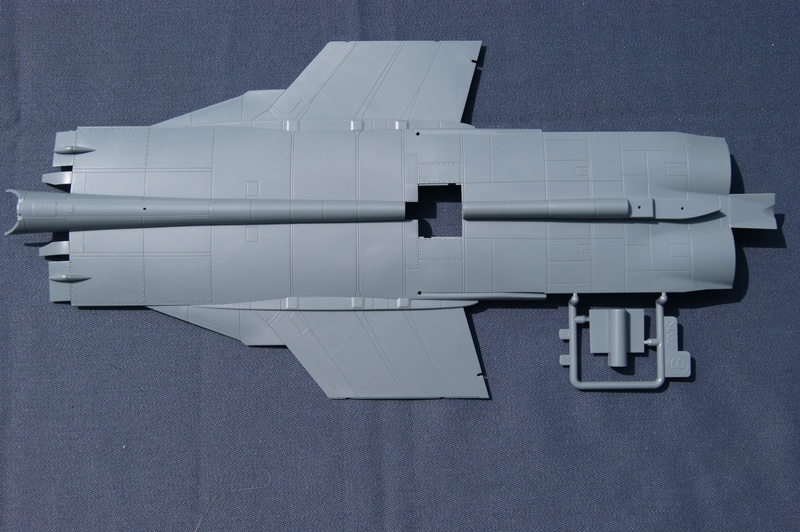 A missile which exist almost out of one part. 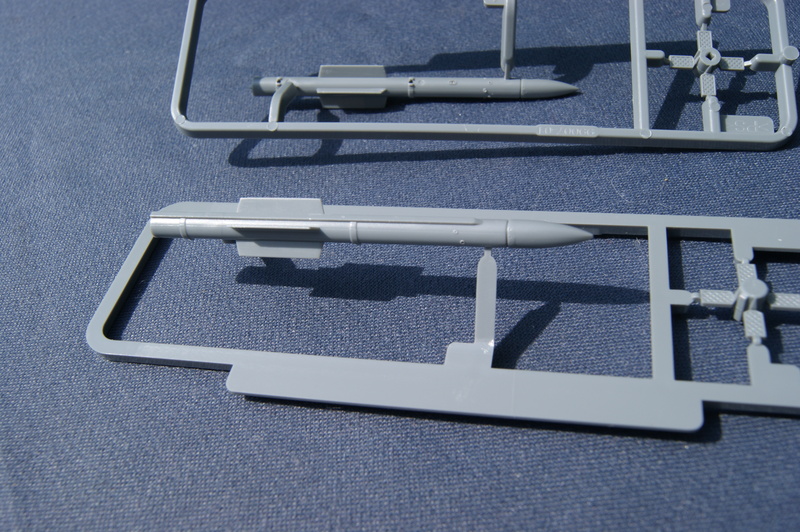 No more half round half squared missiles because of the sanding. 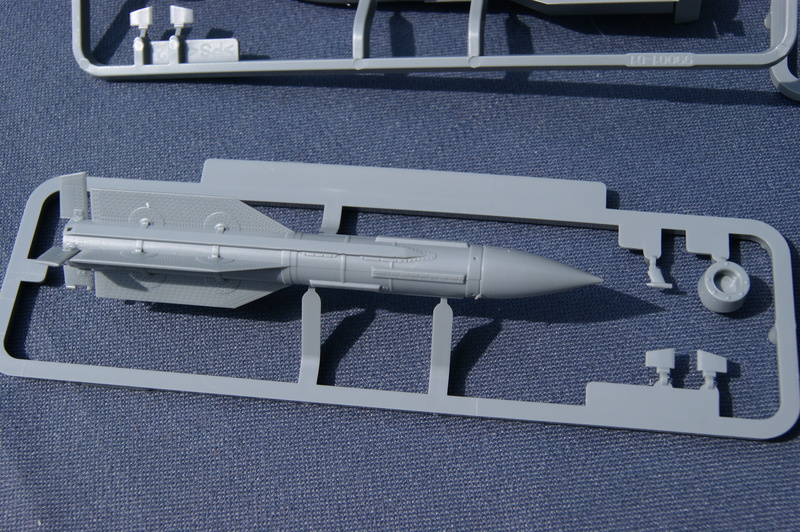 And this R-33 missile looks tremendous! 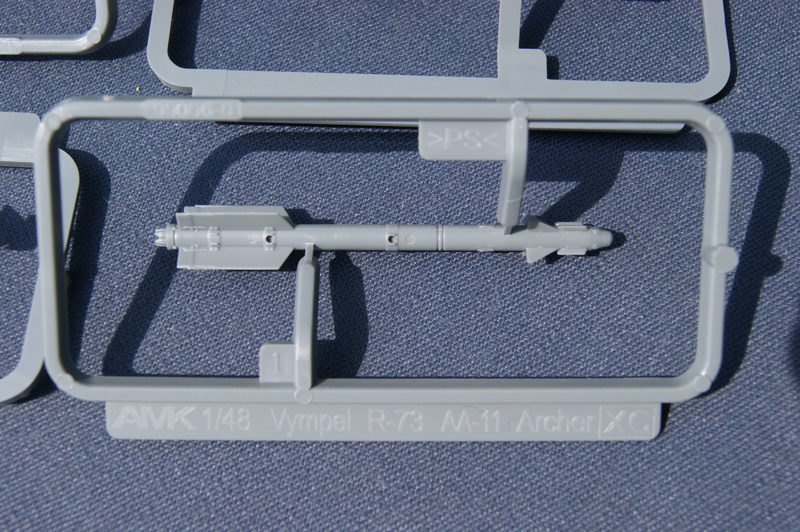 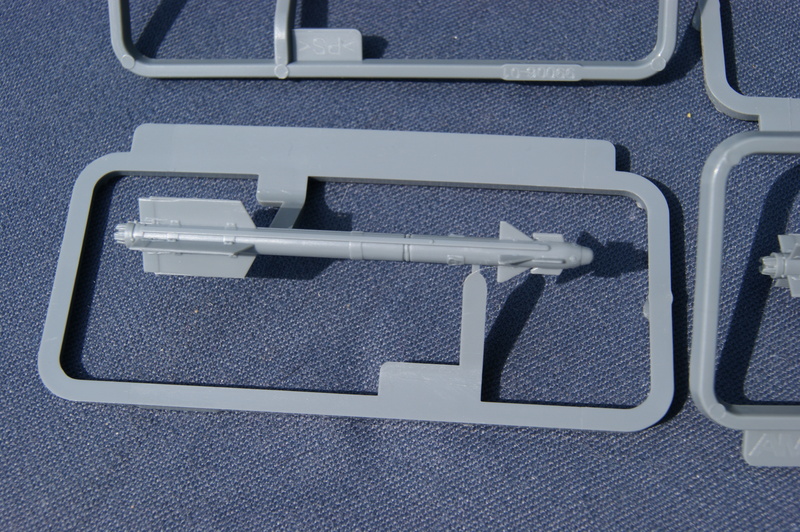 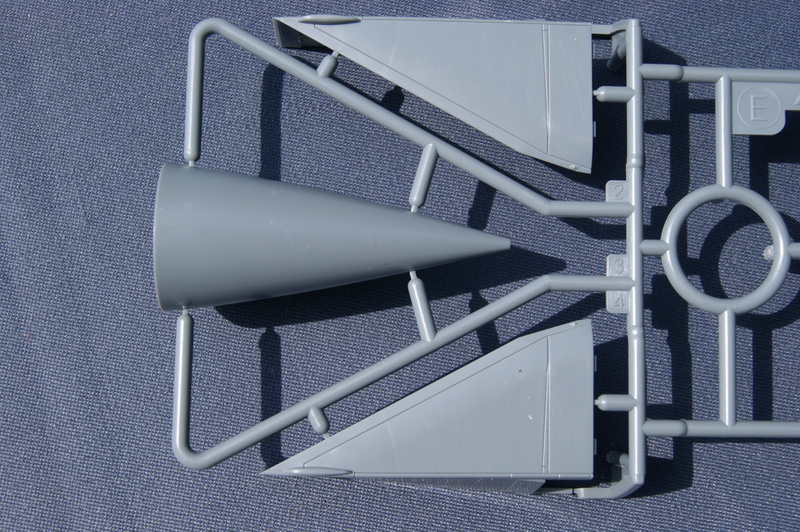 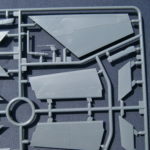 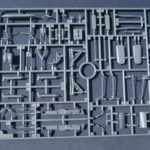 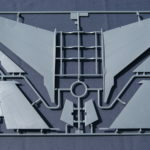 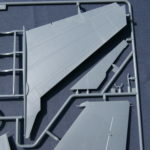 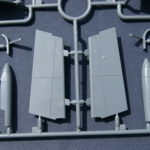 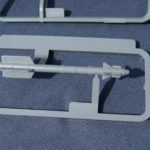 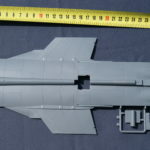 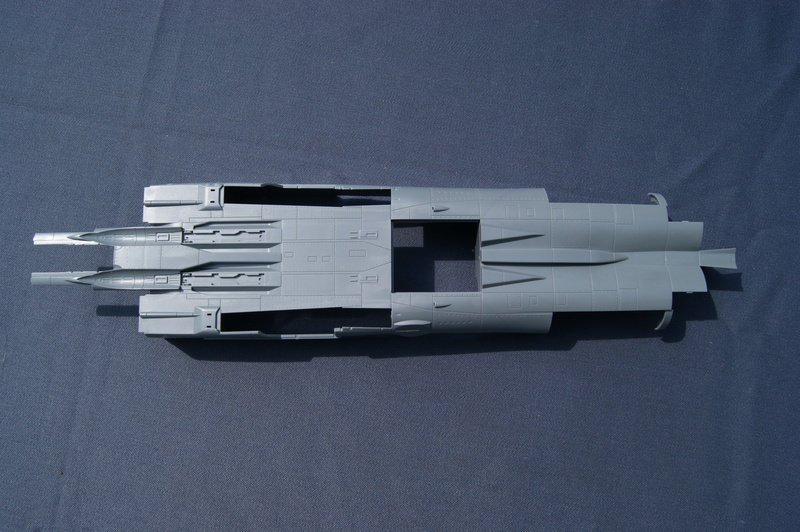 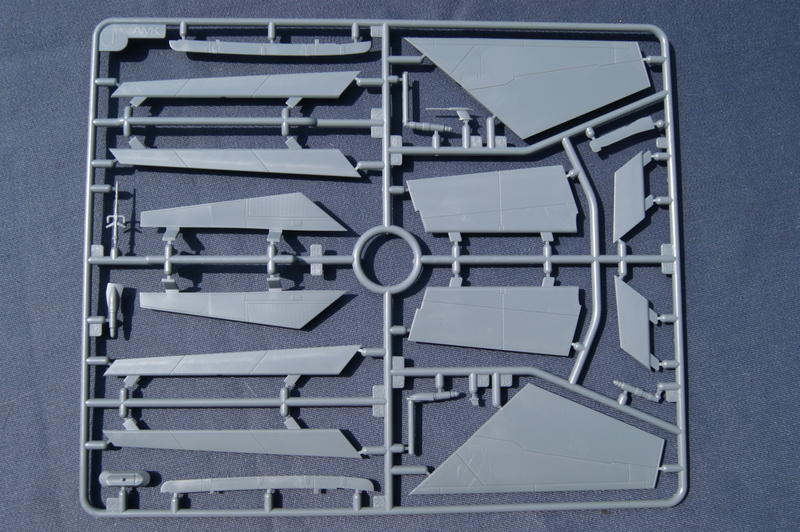 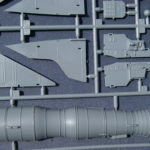 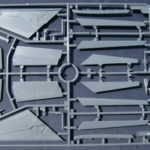 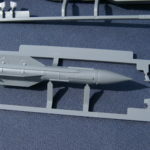 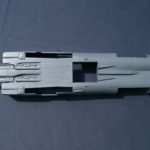 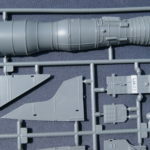 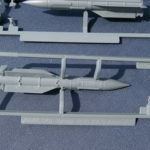 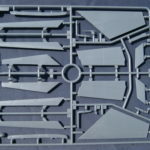 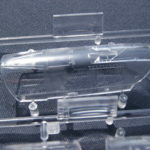 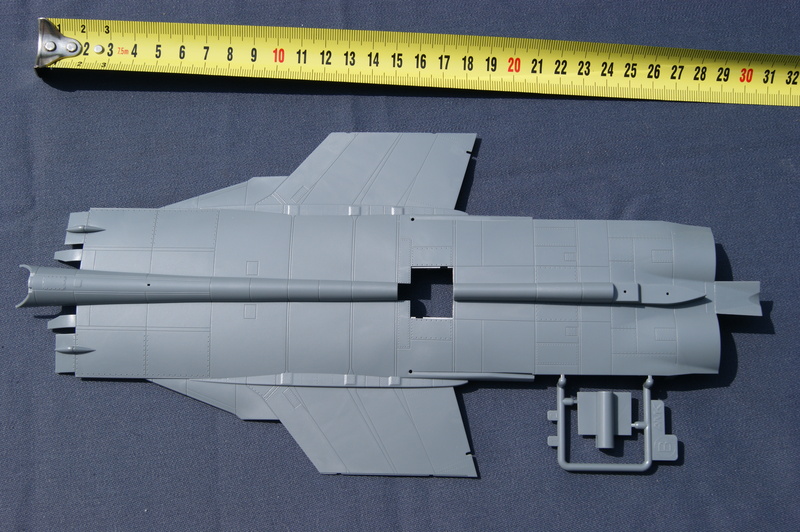 Sprue XC (4x): This contains the R-73 missile and though it has a few ejector marks they are place next to the hanging point making the invisible on the finished model. 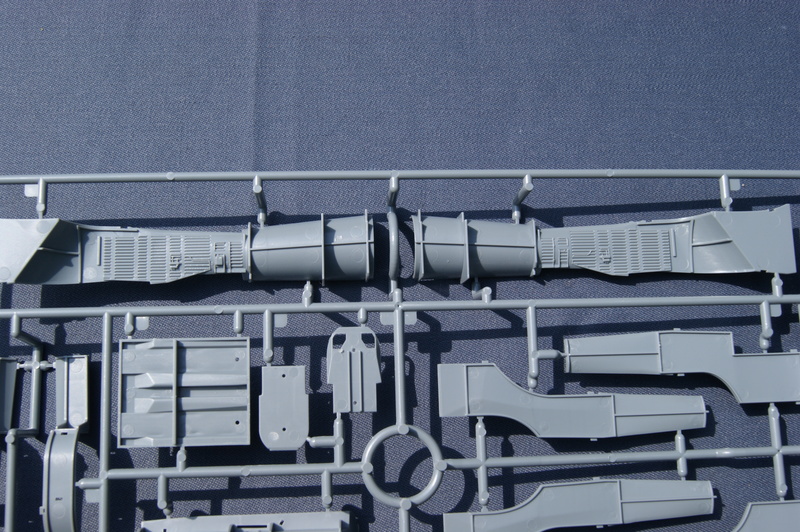 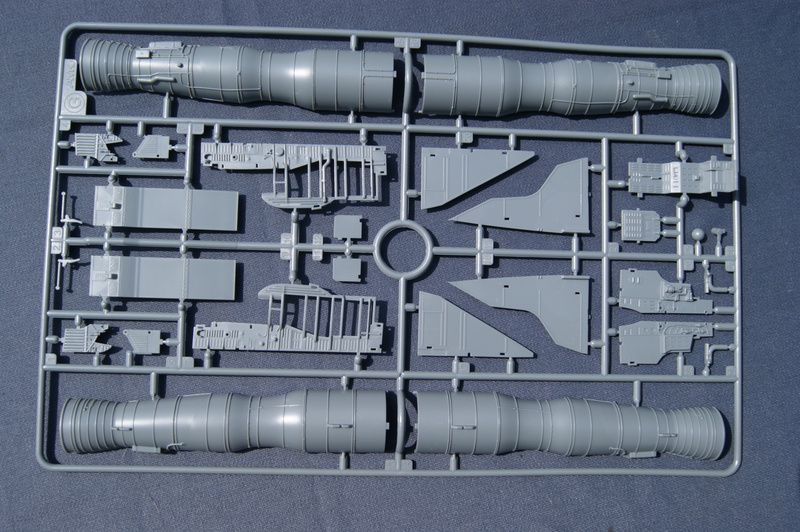 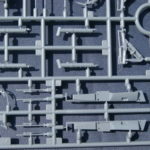 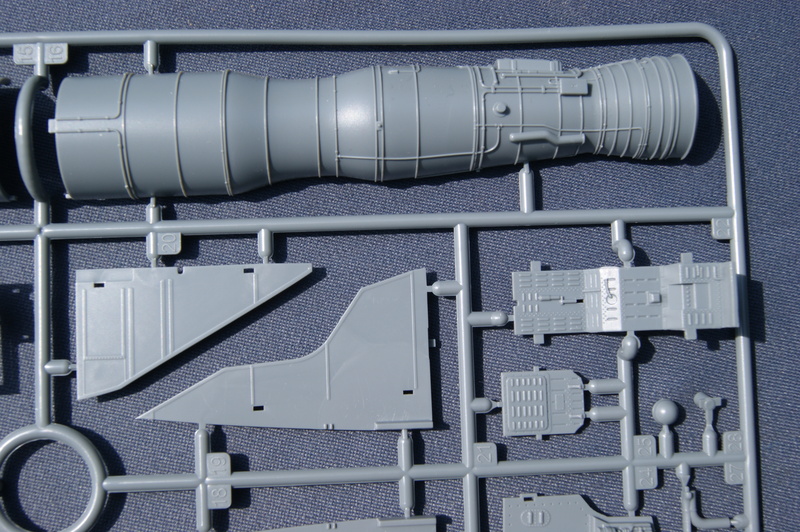 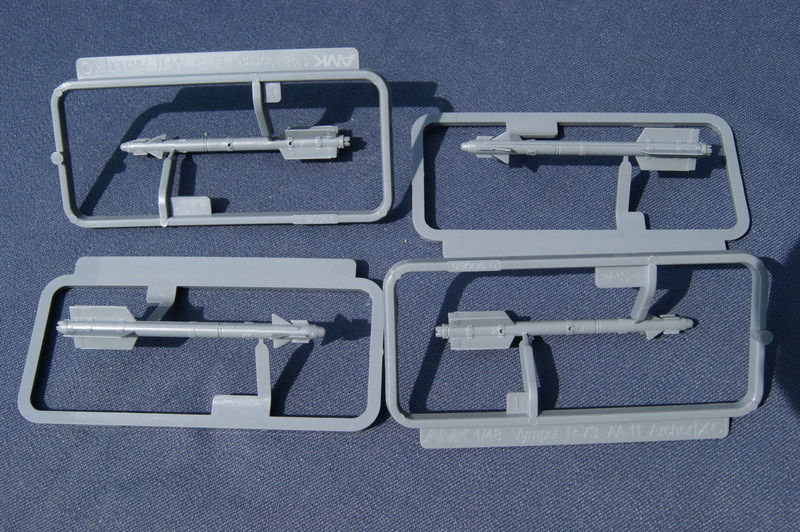 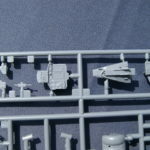 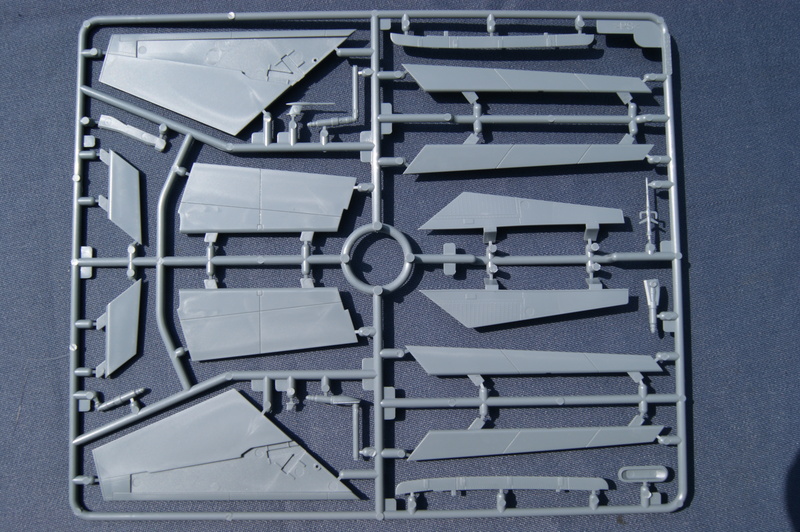 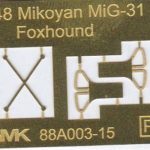 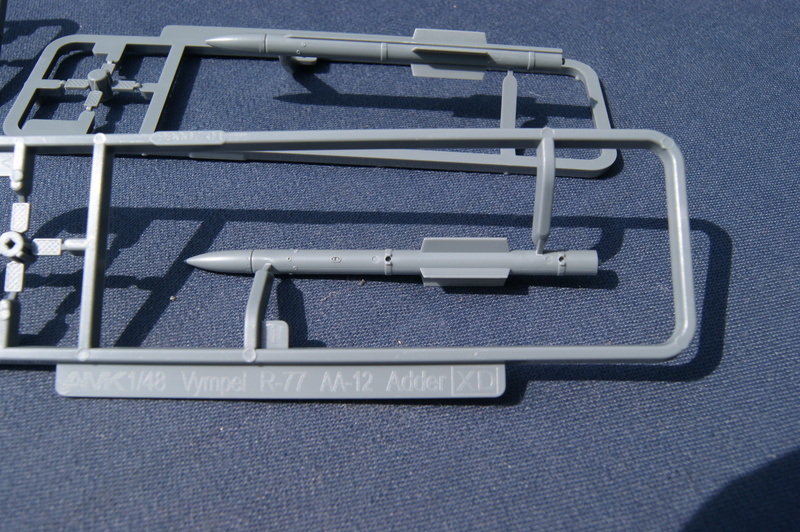 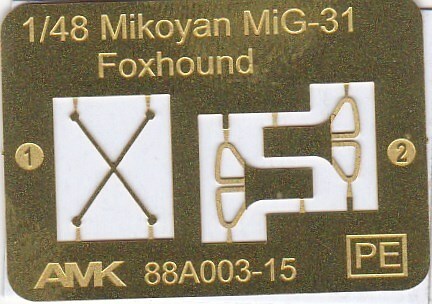 Sprue XD (4x): And the third set of missiles are the R-77’s. 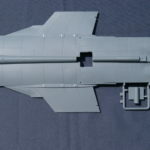 Again a small ejector mark on a place where it won’t be visible anymore when finished. 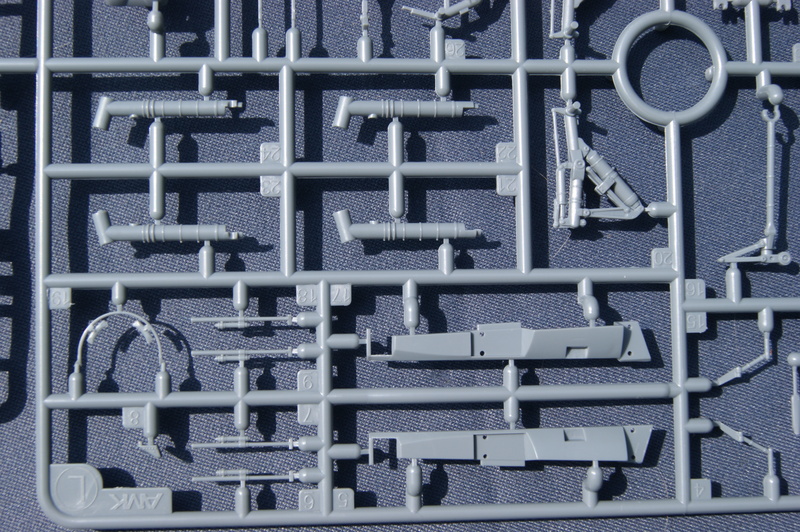 For the rest again these looks really well detailed! 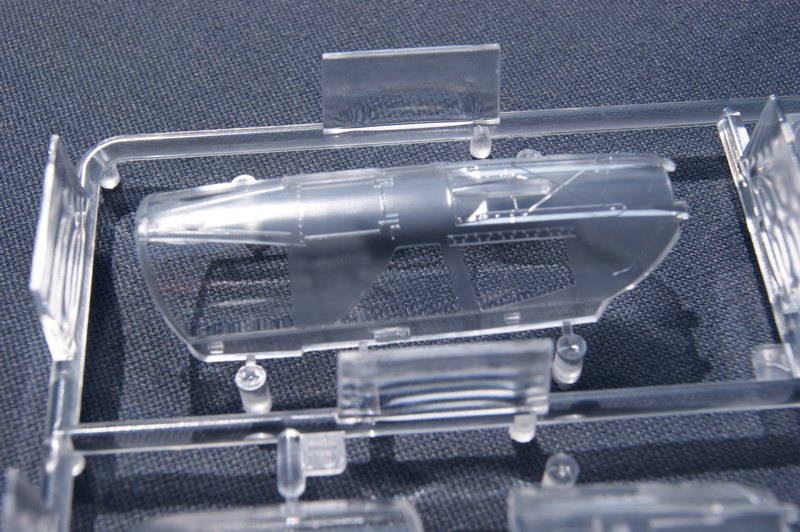 Lower fuselage: Keeping the biggest part of plastic for last. 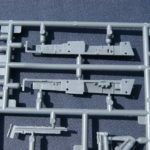 This part is full of detail, like the rest of the kit. 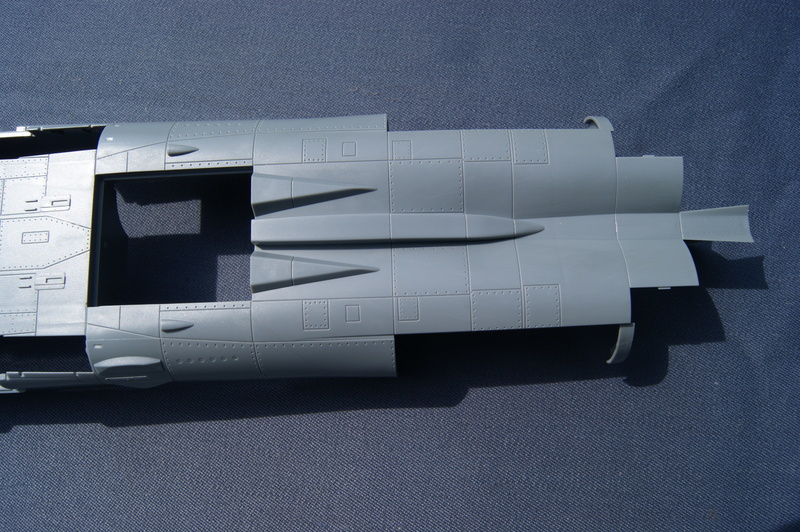 A quick dryfit makes it look like it will fit together quite nicely. 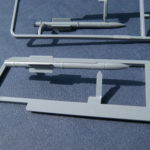 Photo etch: A small fret with just 3 parts, two ejector handles and one that goes on top of the canopy mirror. 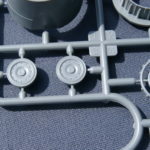 Weights: Always nice when a manufacturer adds the weights, saves you the search for weight and the effort of fitting it in. 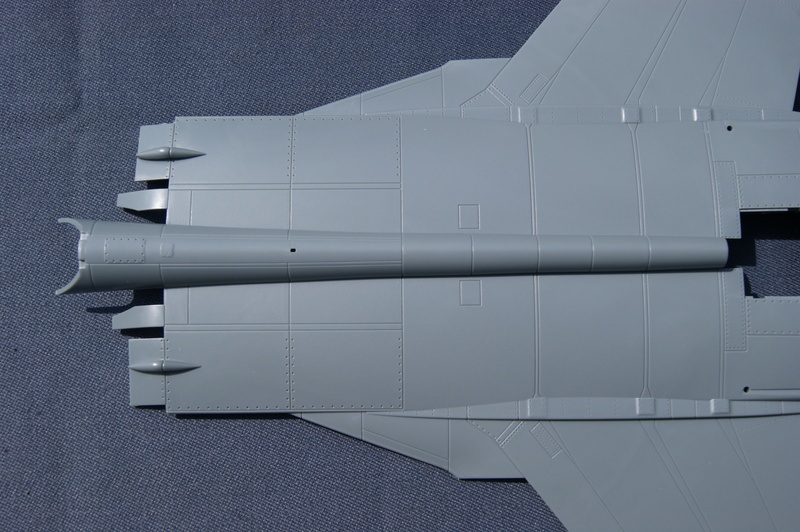 That is, if it is enough to prevent it from being a tailsitter. 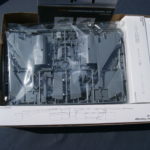 Talk about next generation, well it’s here if you ask me. 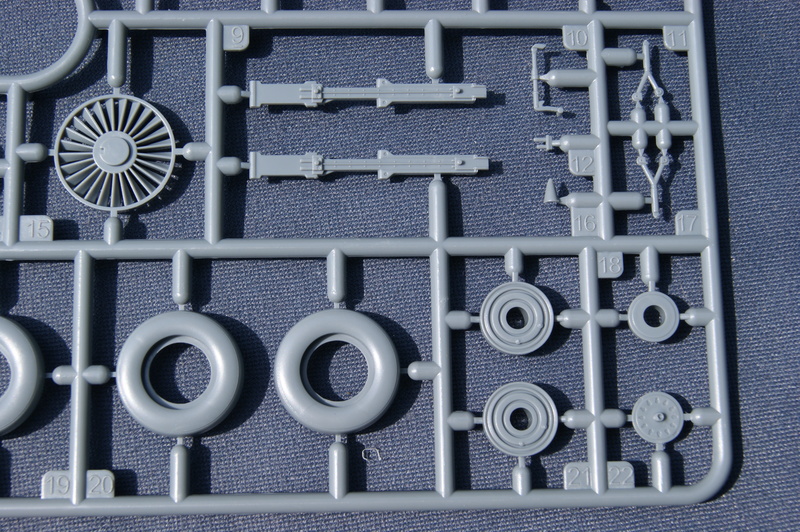 The level of detail on this kit is absolutely fantastic. 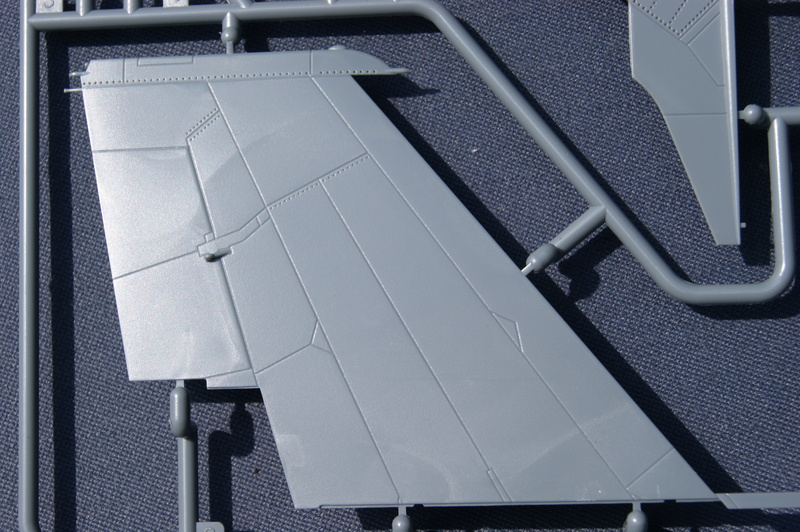 I’ve just found a few ejector marks that would be visible. 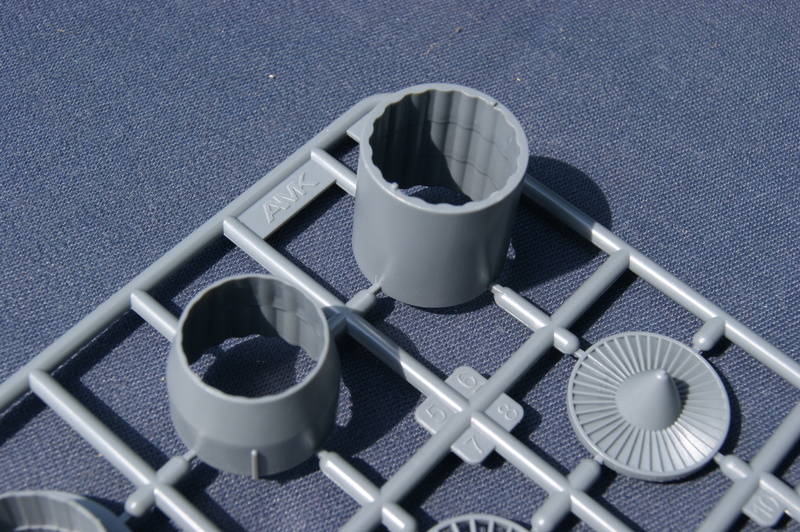 If the fitting will be as good as the looks the new standard for plastic for the future is set. 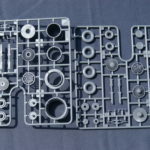 Here you can comment and rate on this Review. 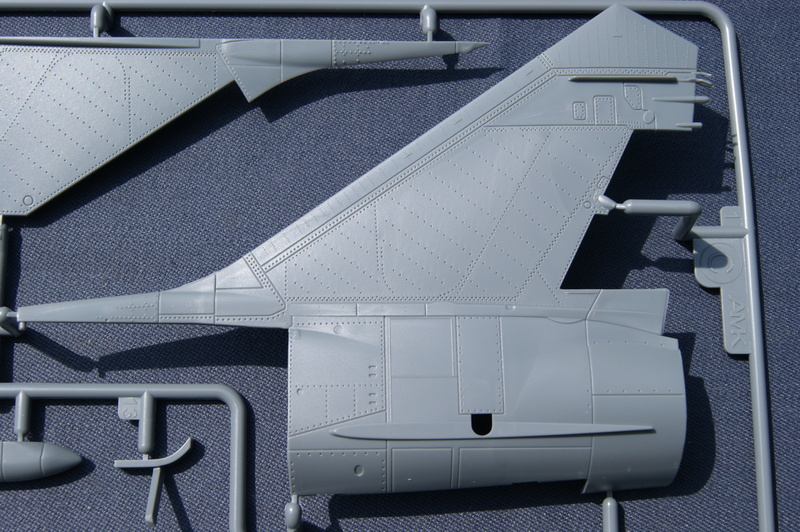 The ejector pin marks inside the wheel bays do you mean? 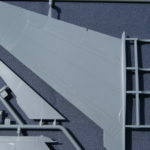 If it is, we changed that from feedback from the public. 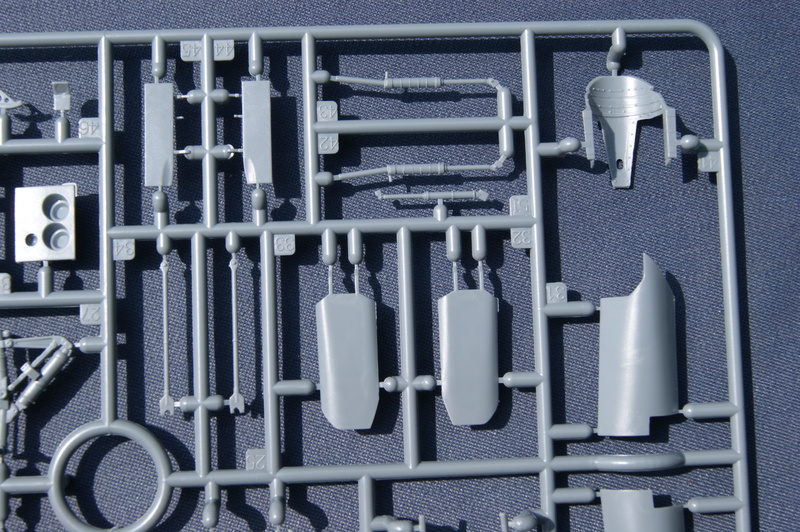 We redid the instructions are they are available to download from our Facebook page and by swapping two parts around the ejection marks are concealed. 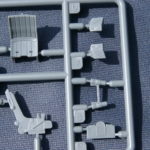 That should get rid of that problem. 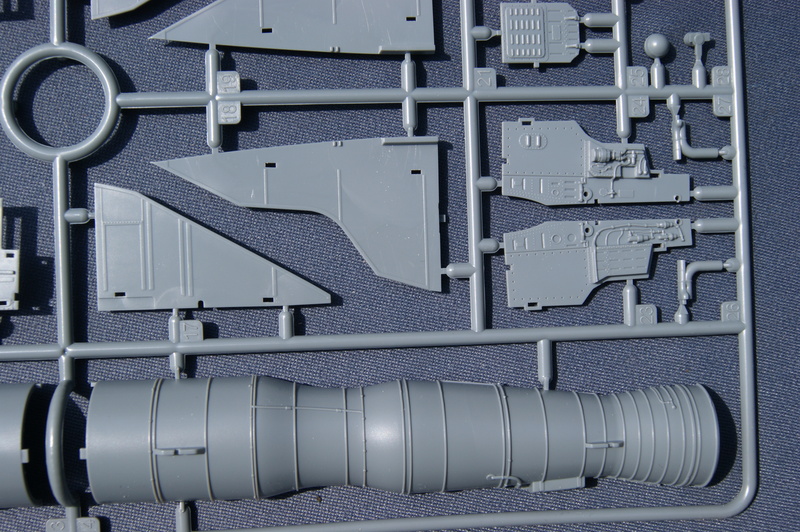 Also, we reacted immediately from other feedback regarding seatbelts and cockpit decals. 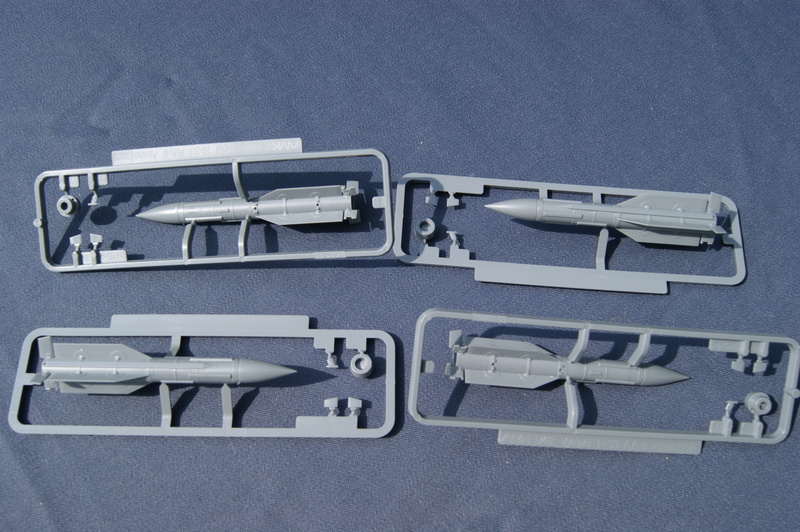 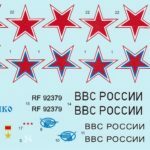 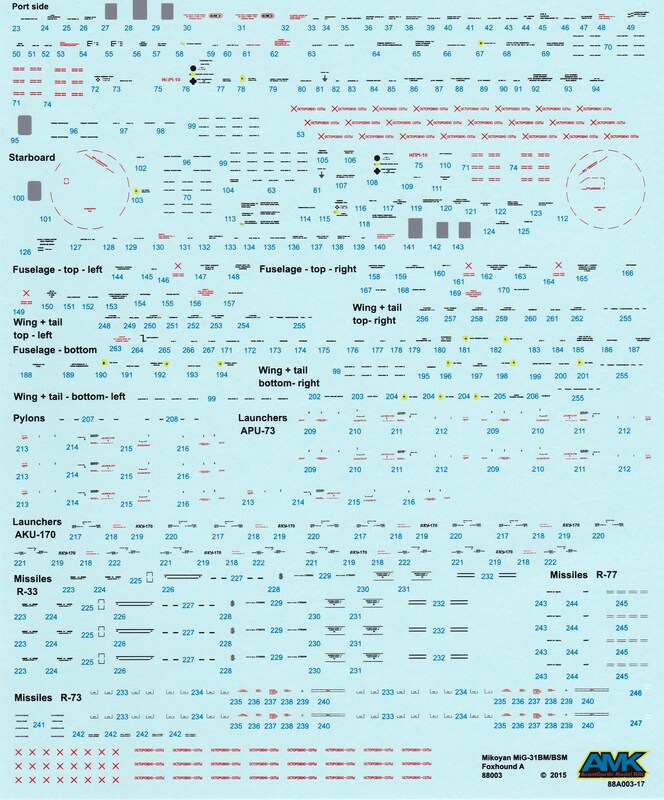 From the MIg-31B/BS we included these items in the new kits and much more. 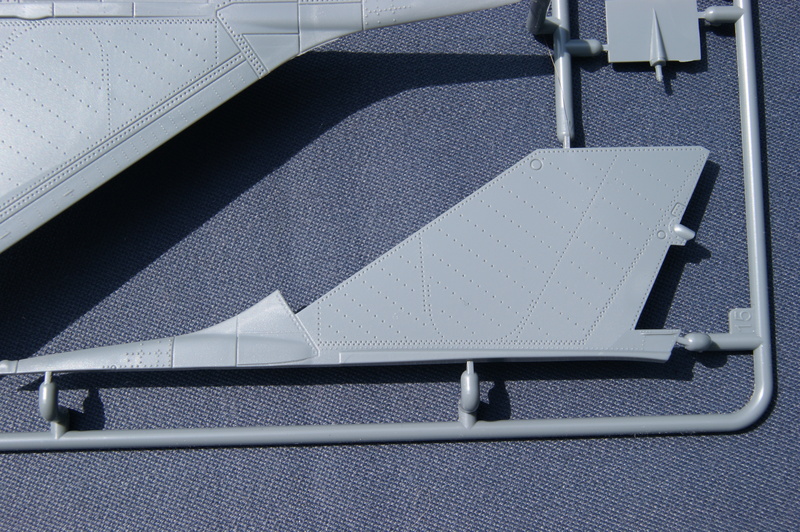 We also added the Germetik sealant around the canopy in decal form.